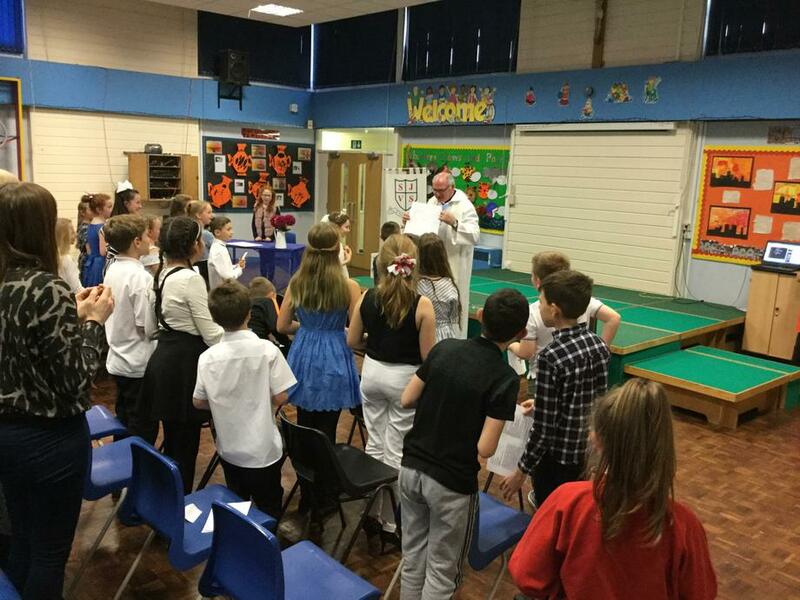 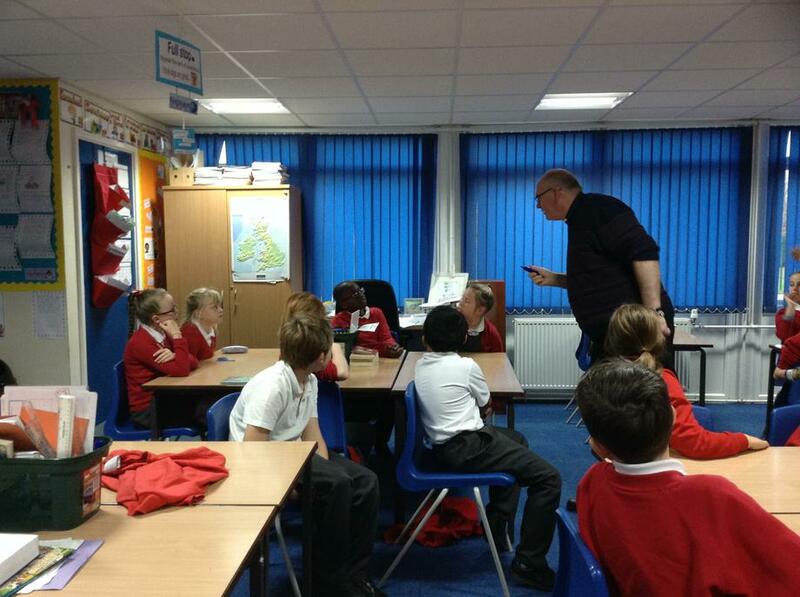 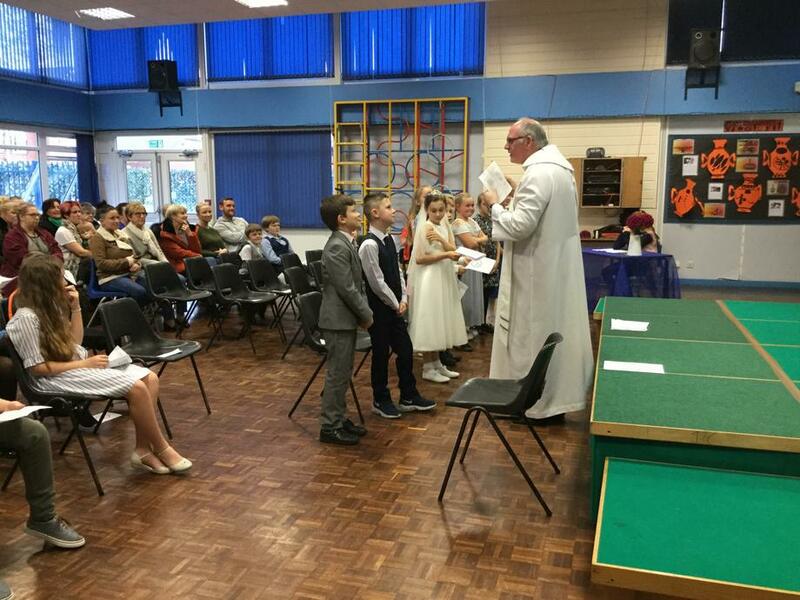 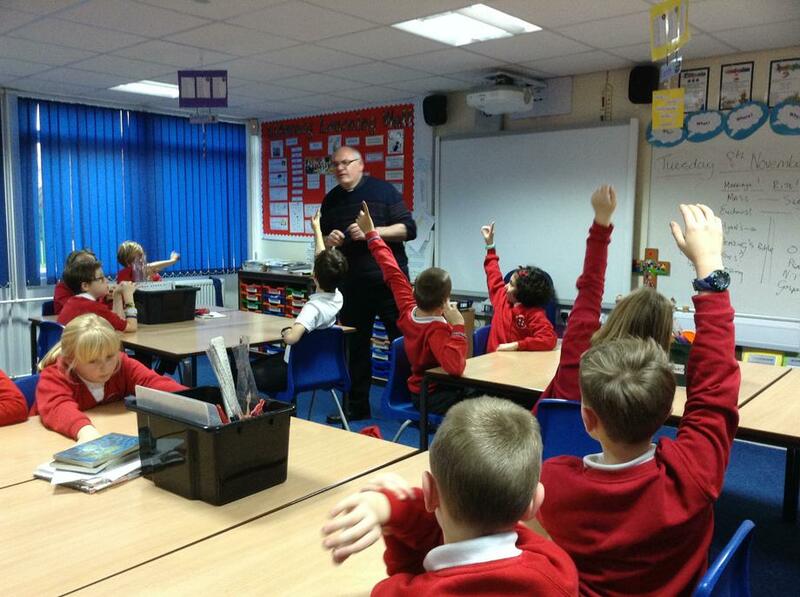 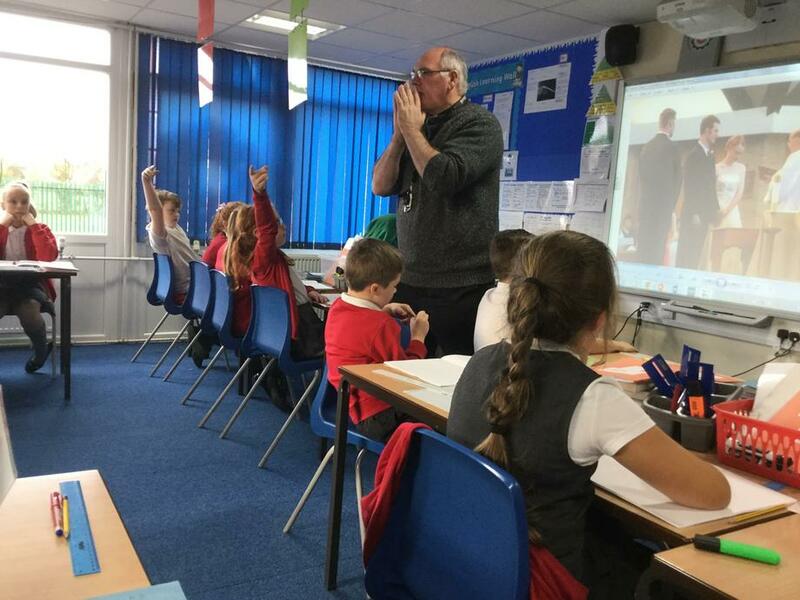 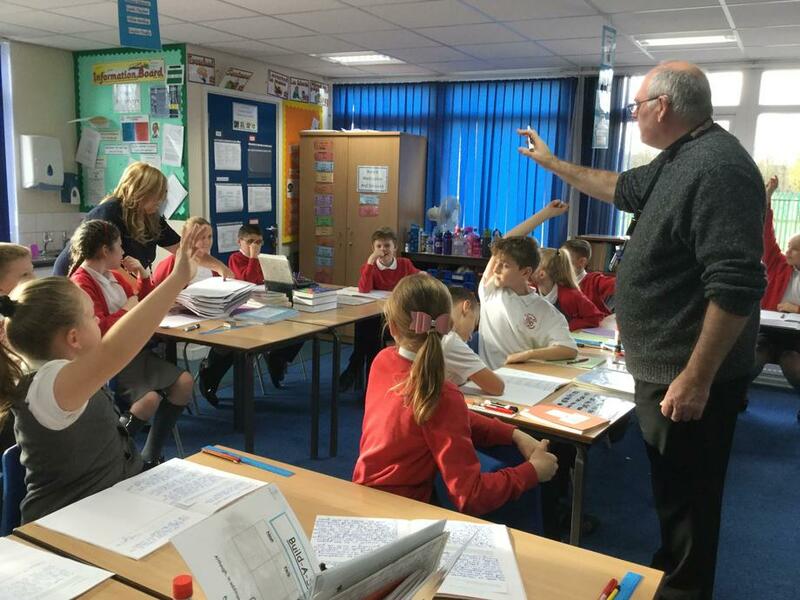 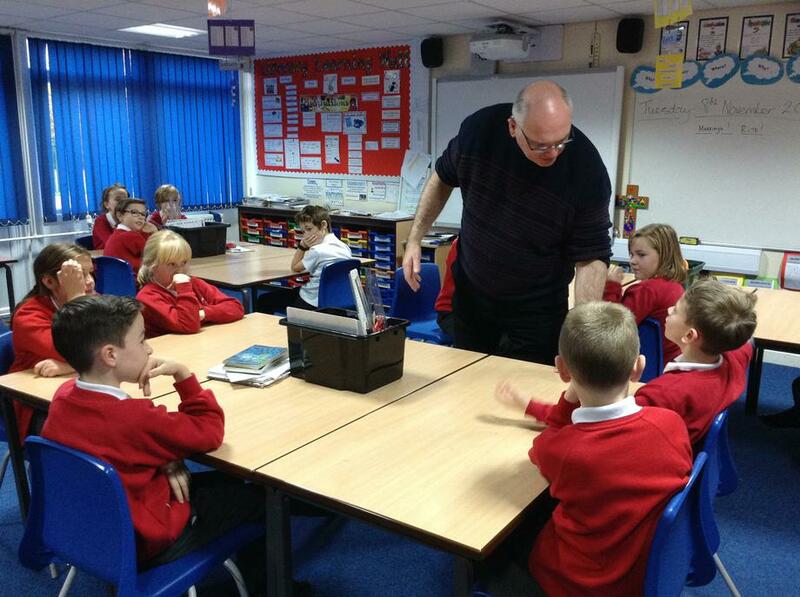 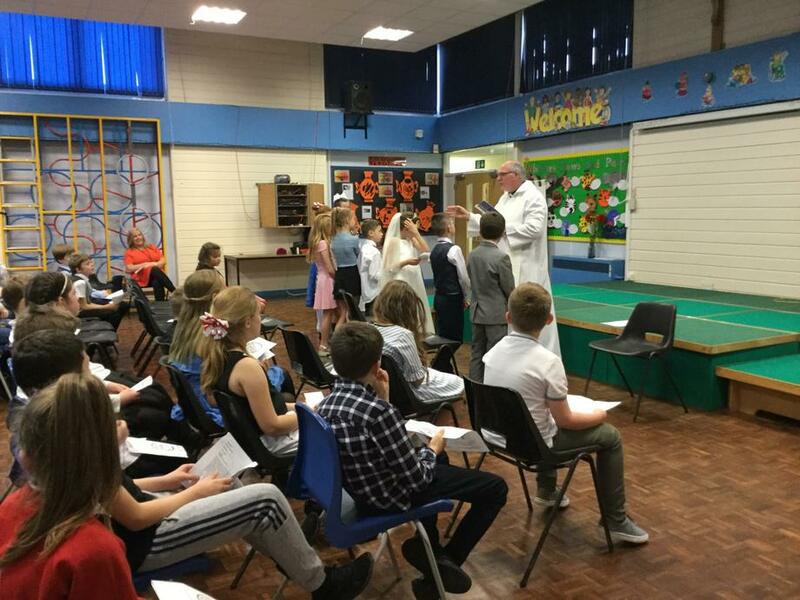 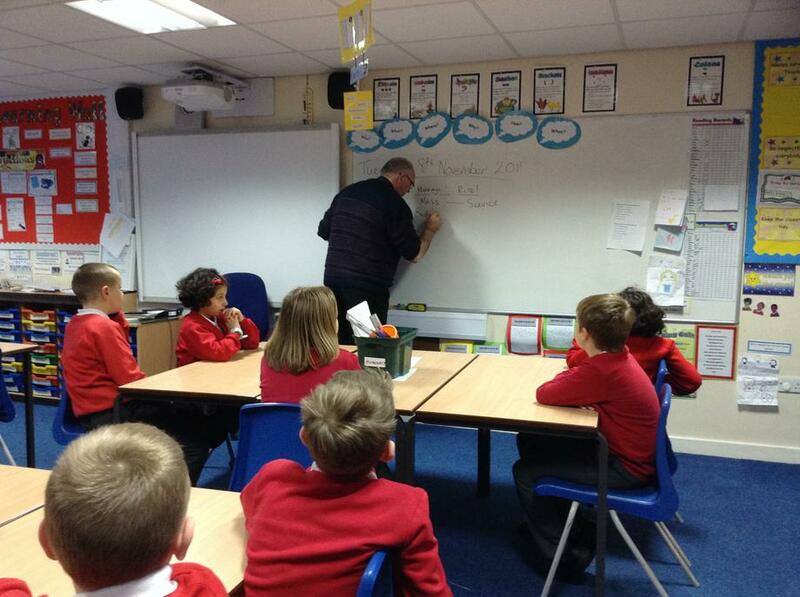 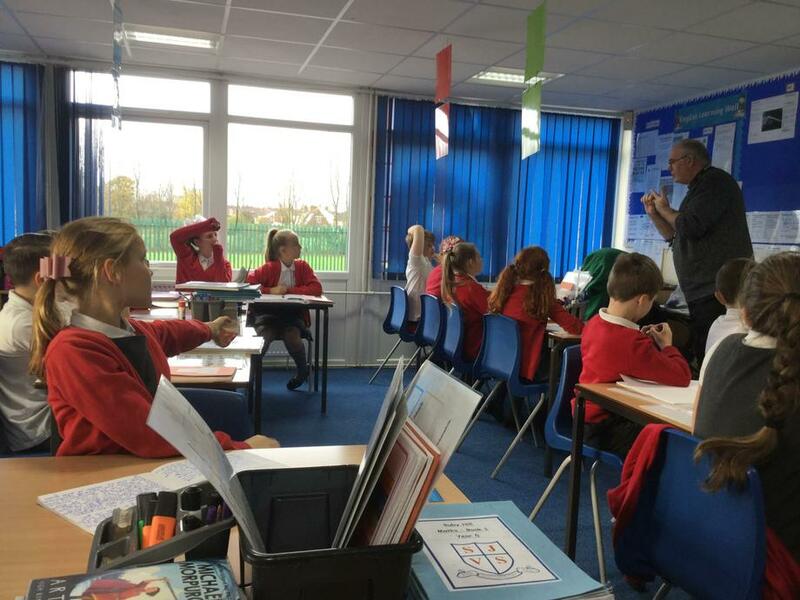 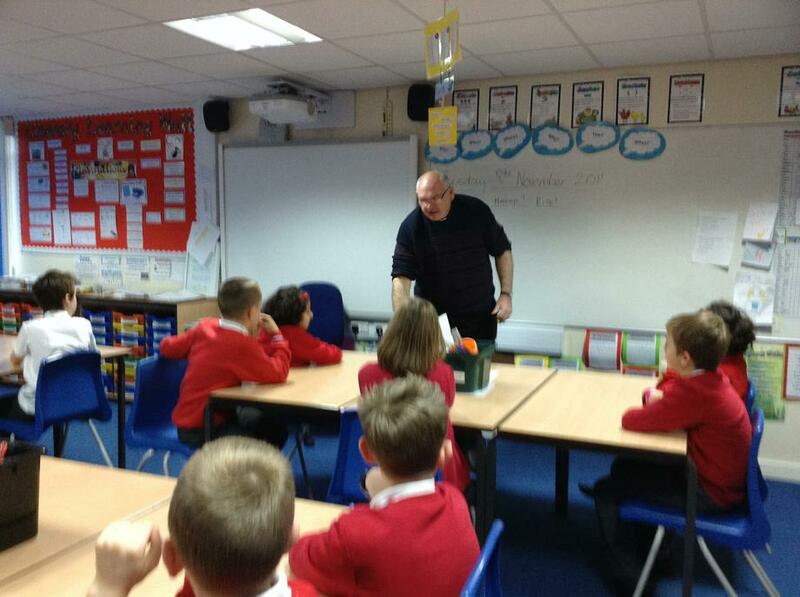 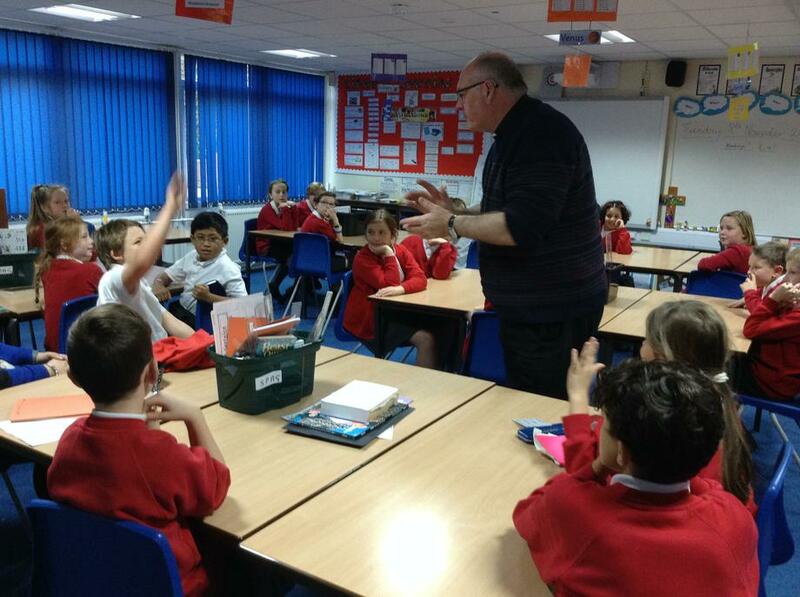 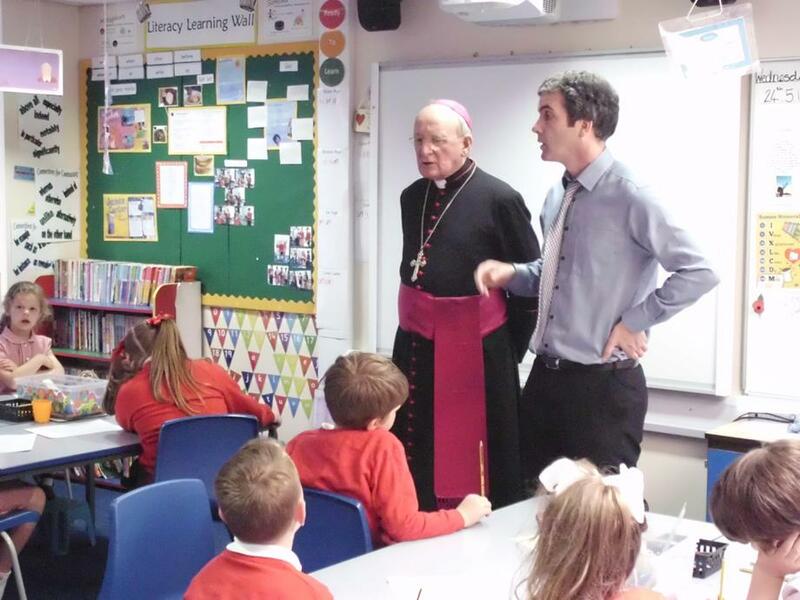 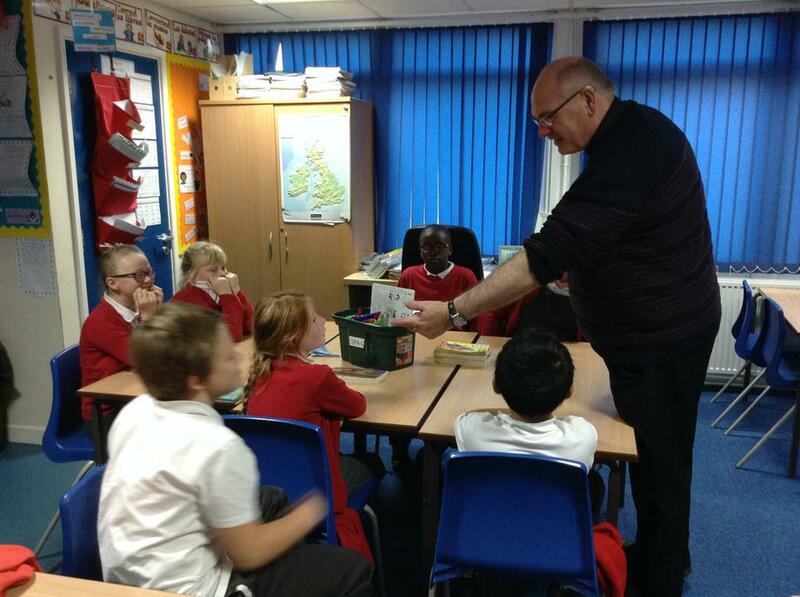 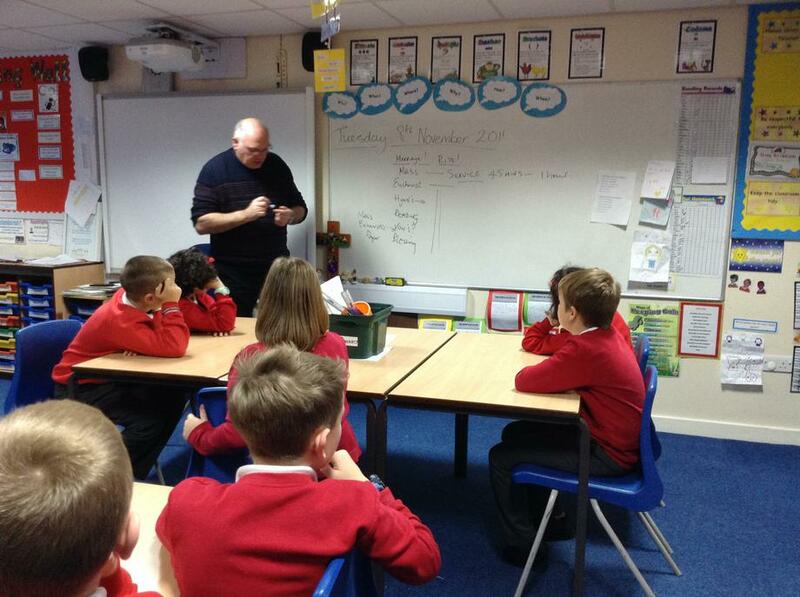 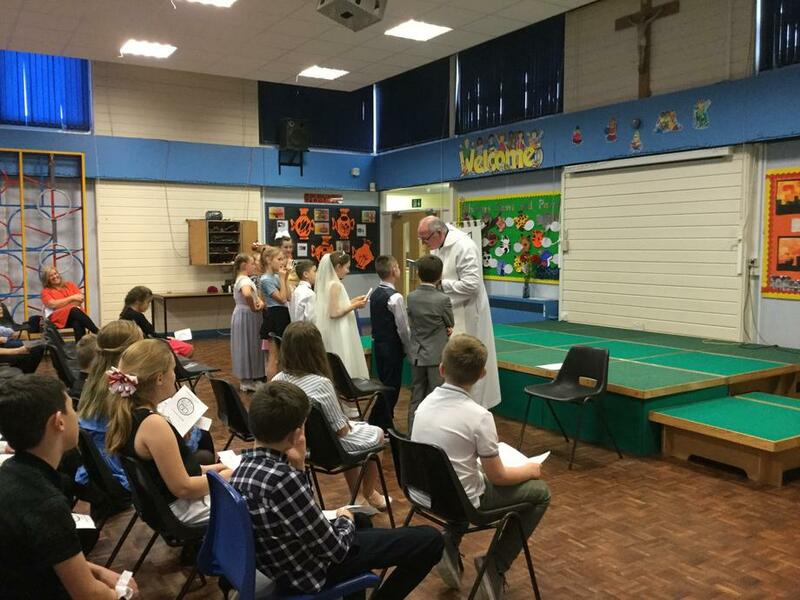 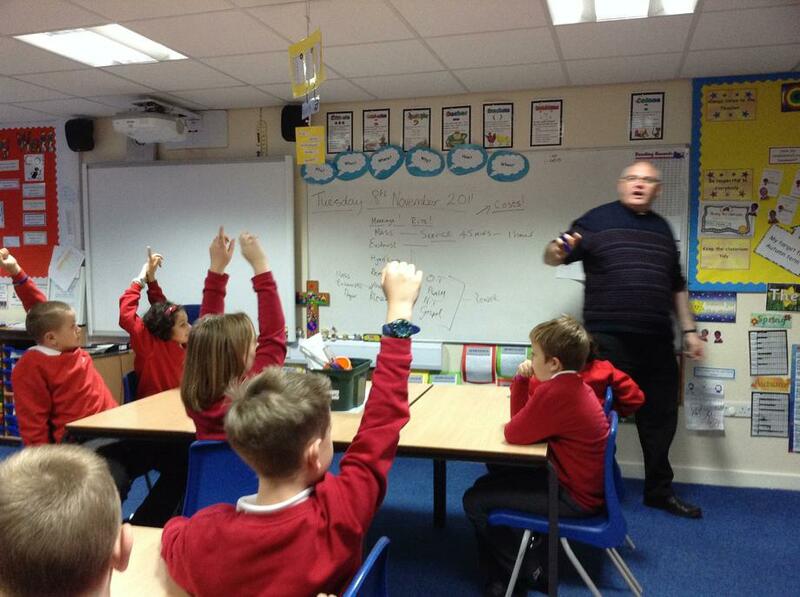 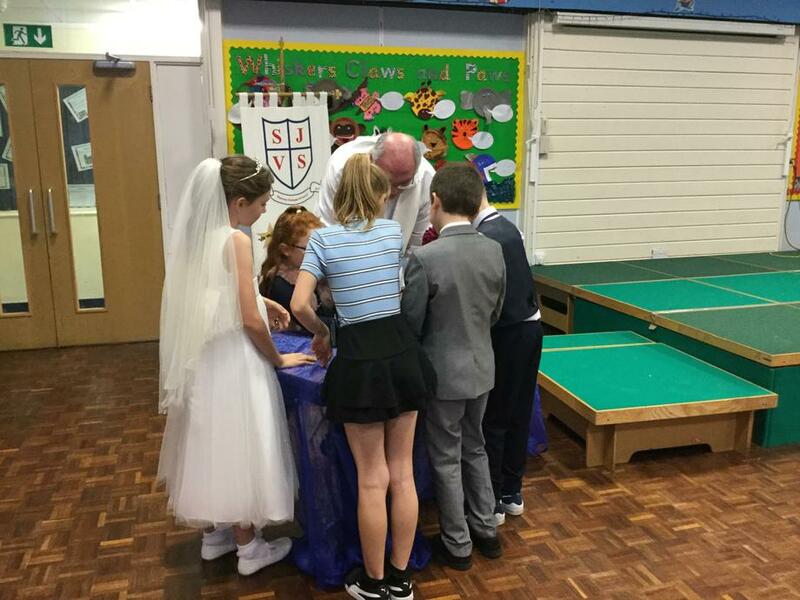 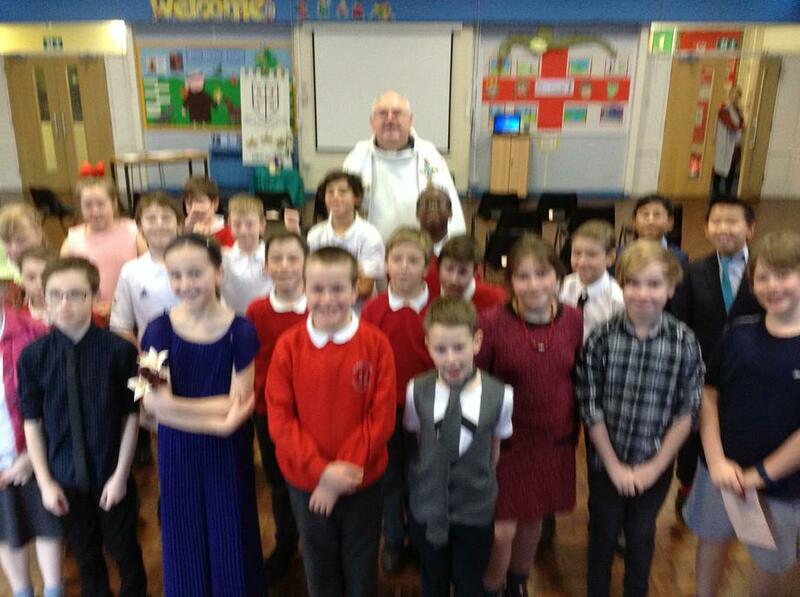 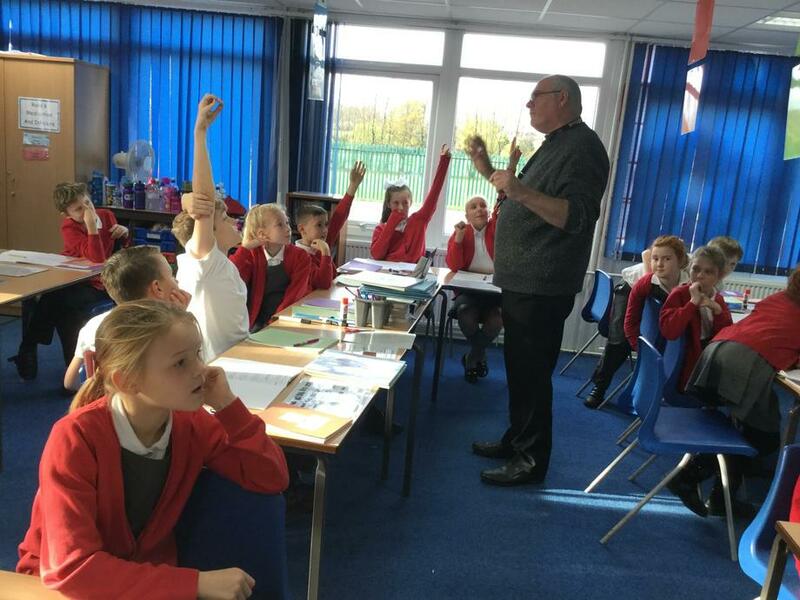 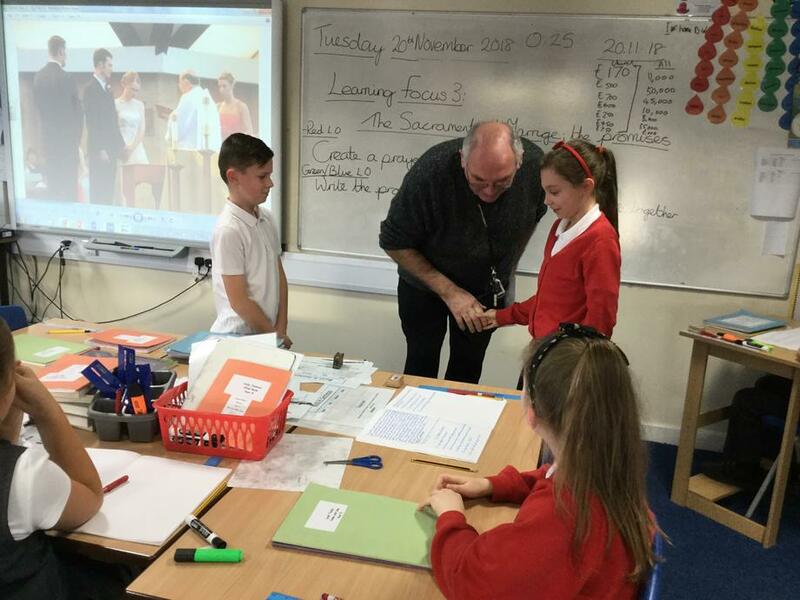 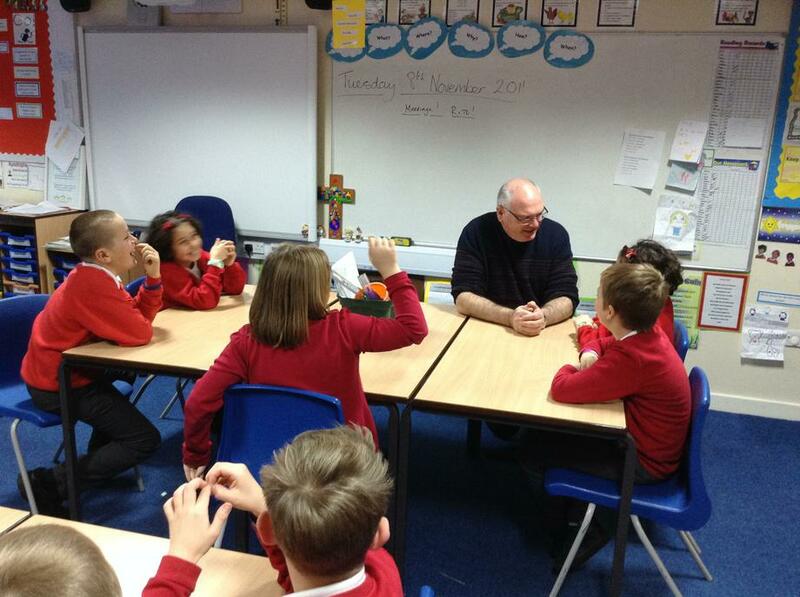 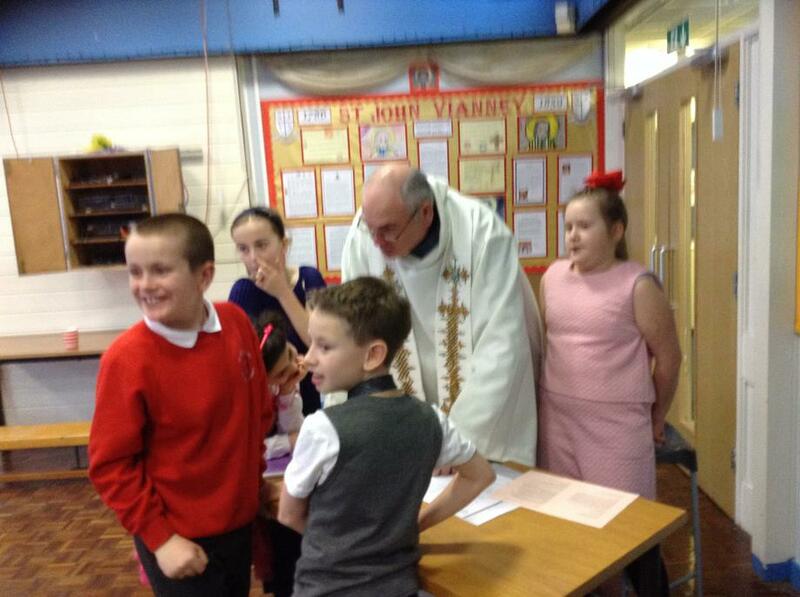 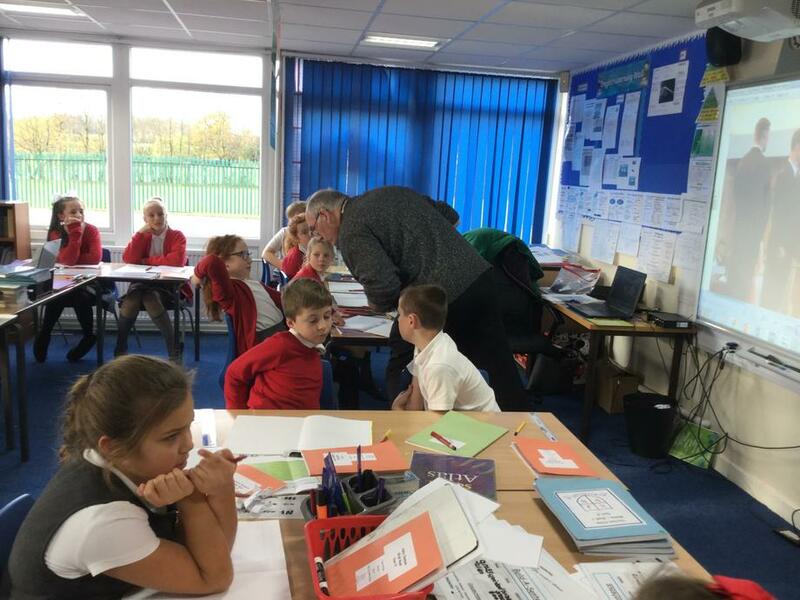 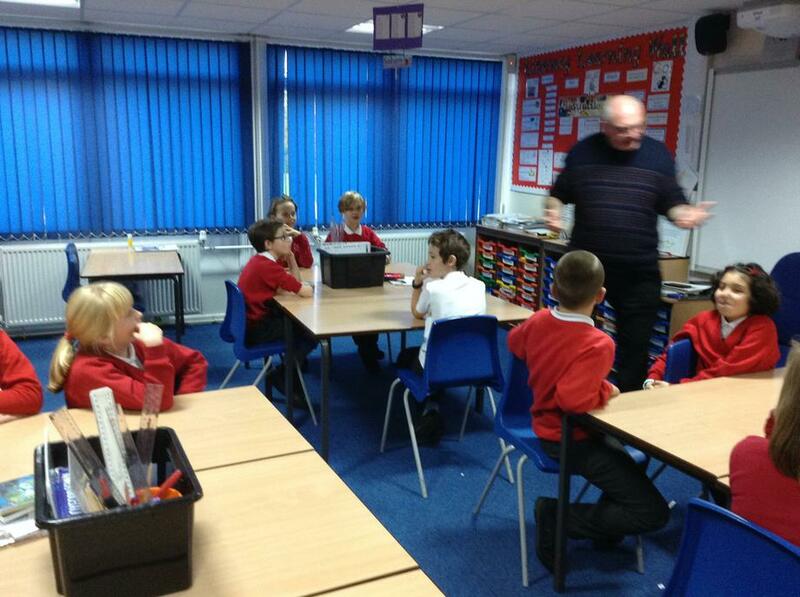 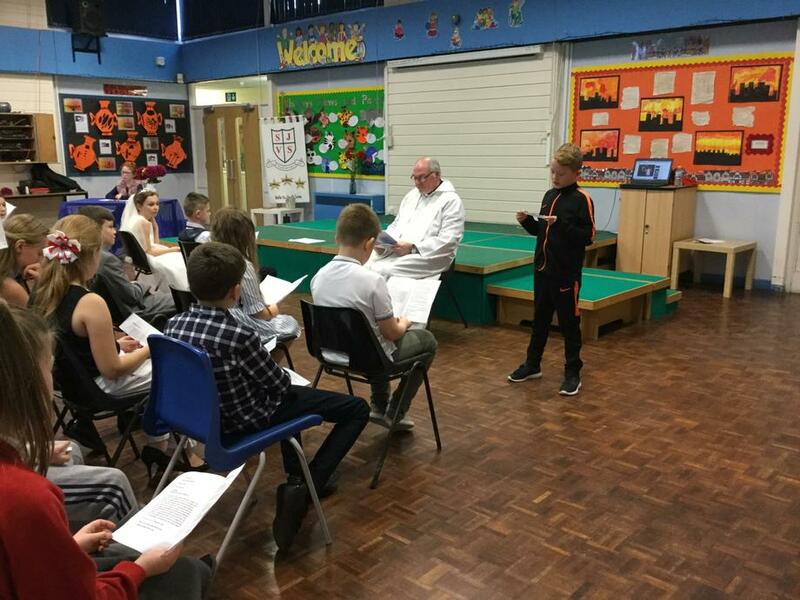 Father Martin working with Year 6 children discussing the Ordination, for the Vocation and Commitment topic. 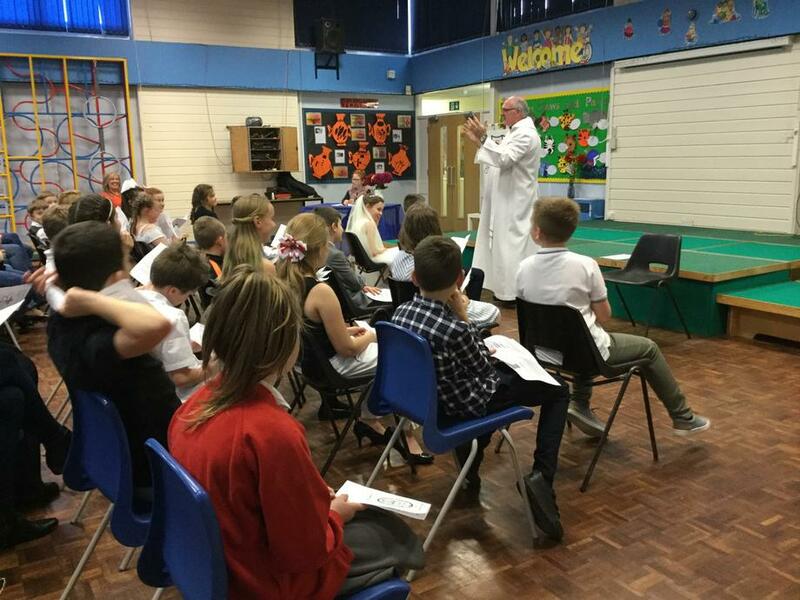 Year 4 Summer 2017 - Bishop Tom came to visit us in class and we taught him a few Spanish phrases. 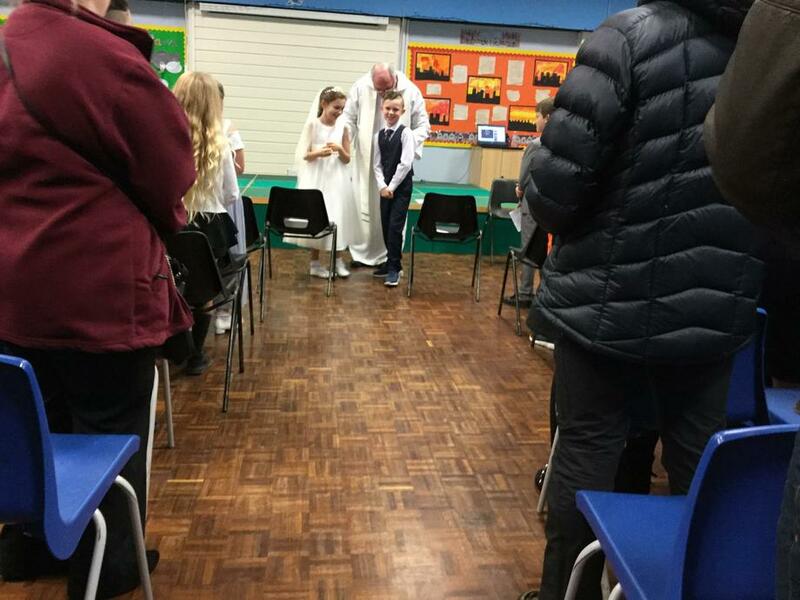 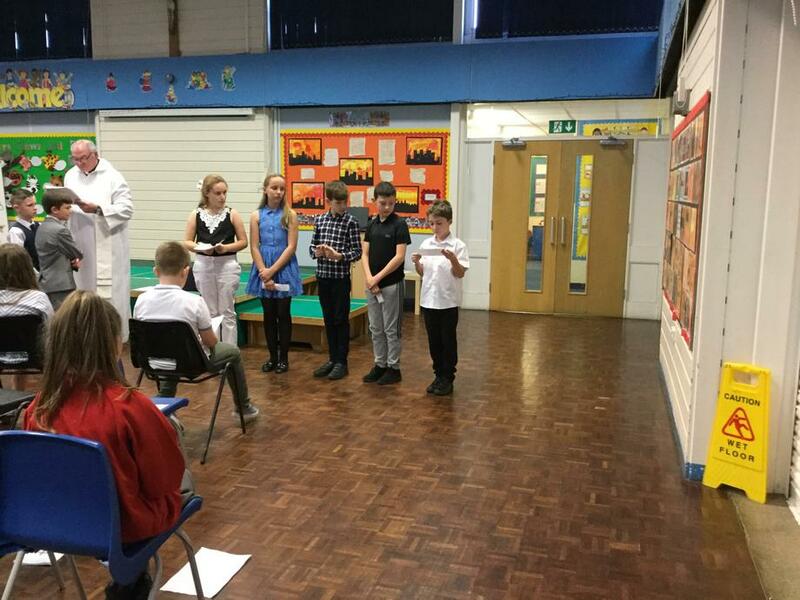 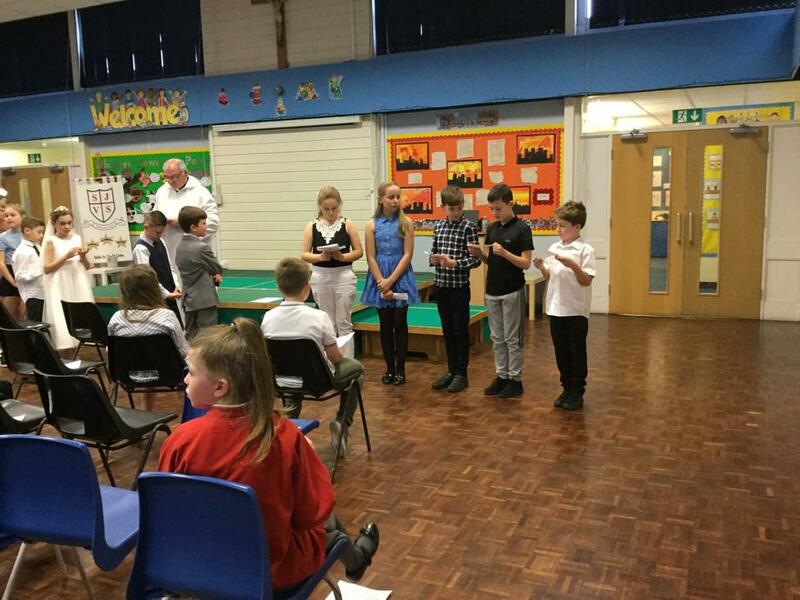 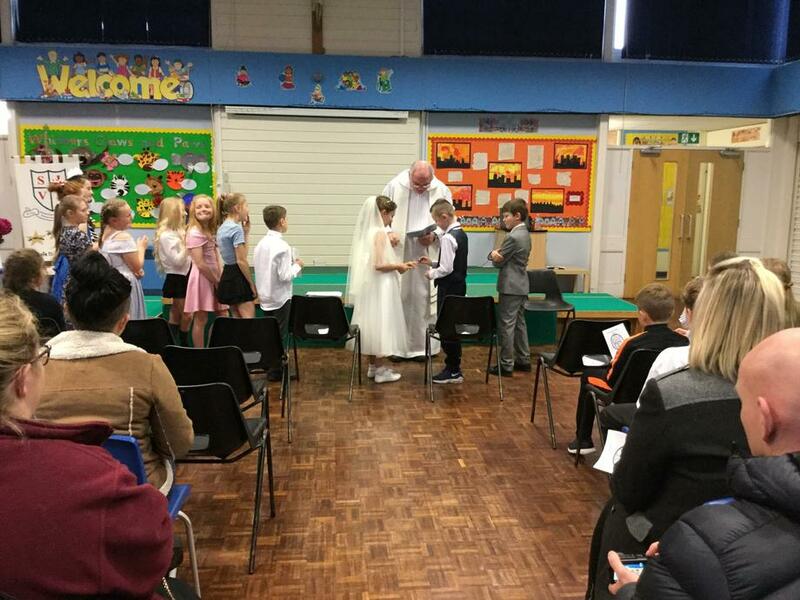 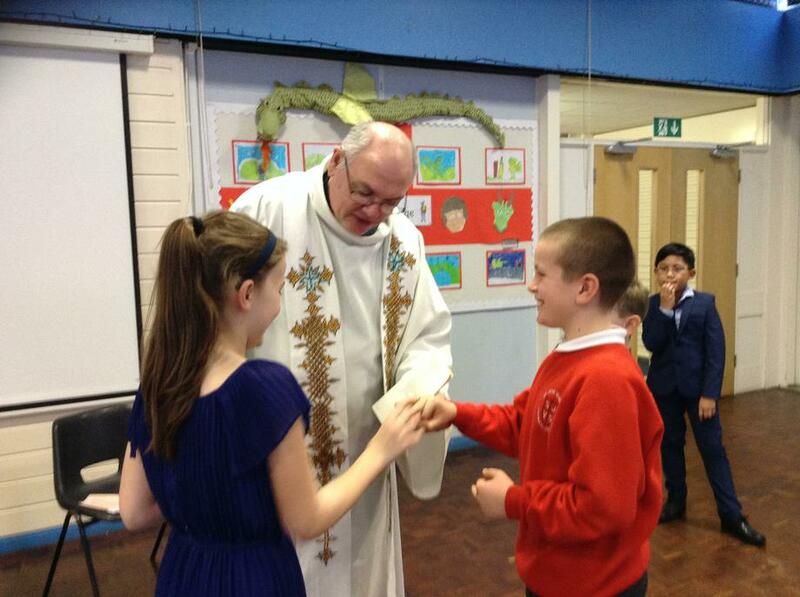 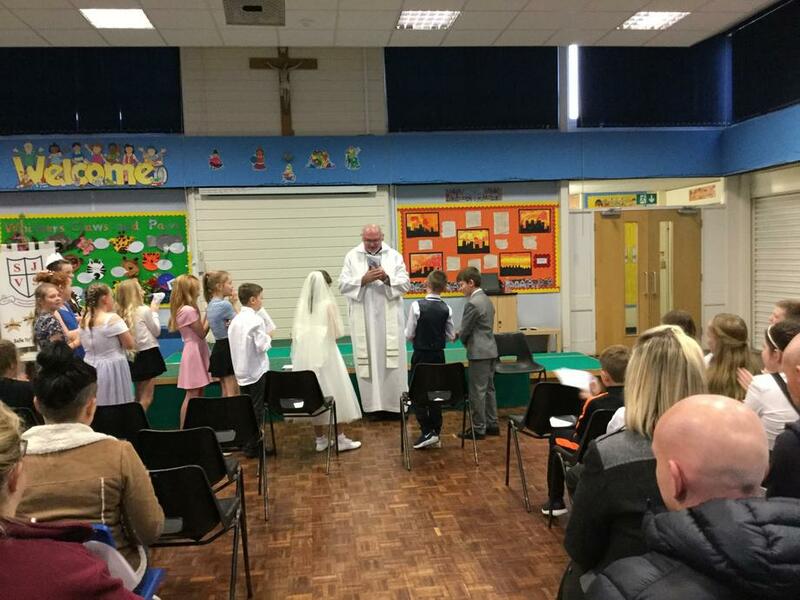 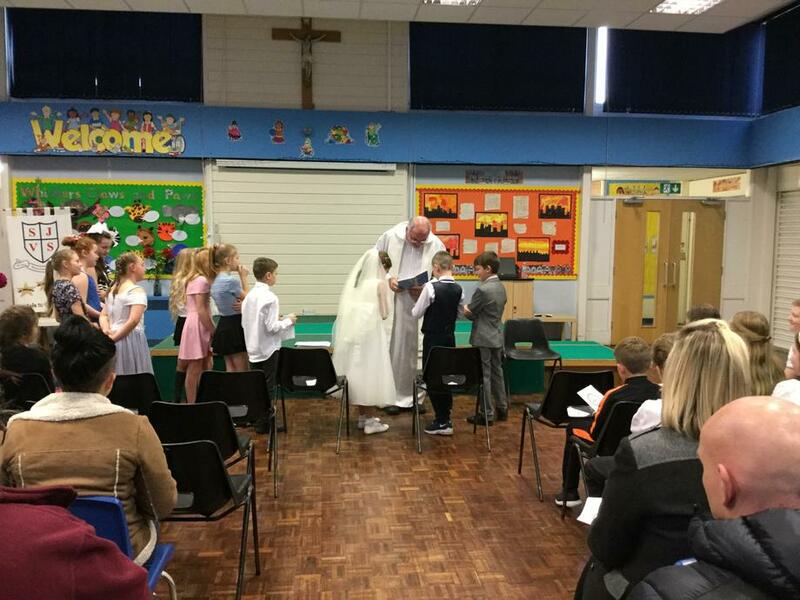 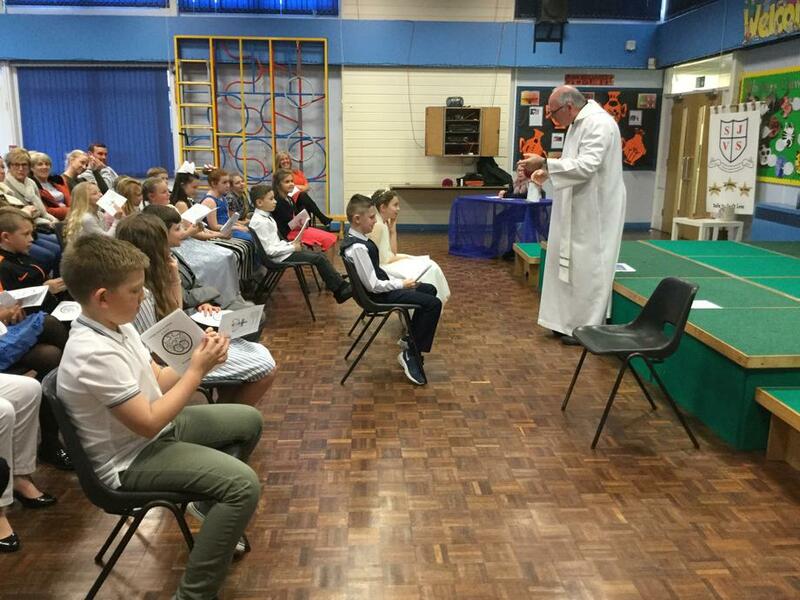 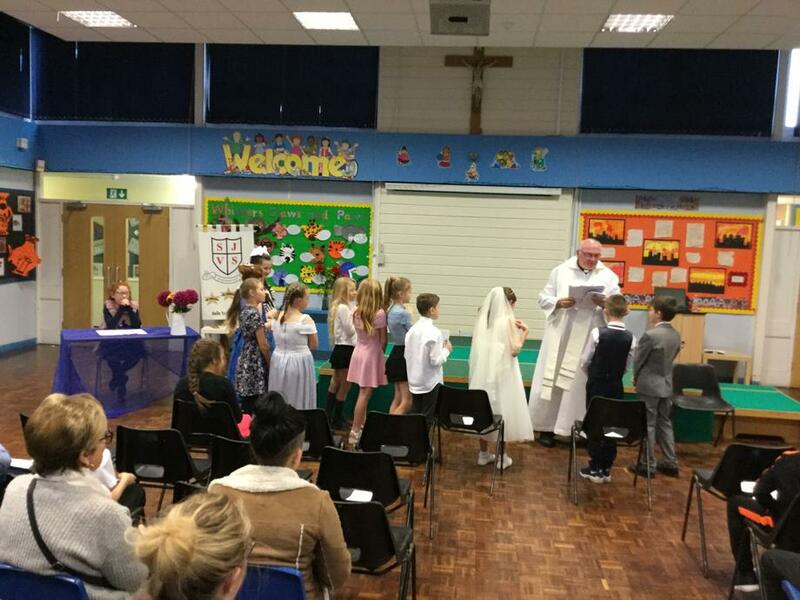 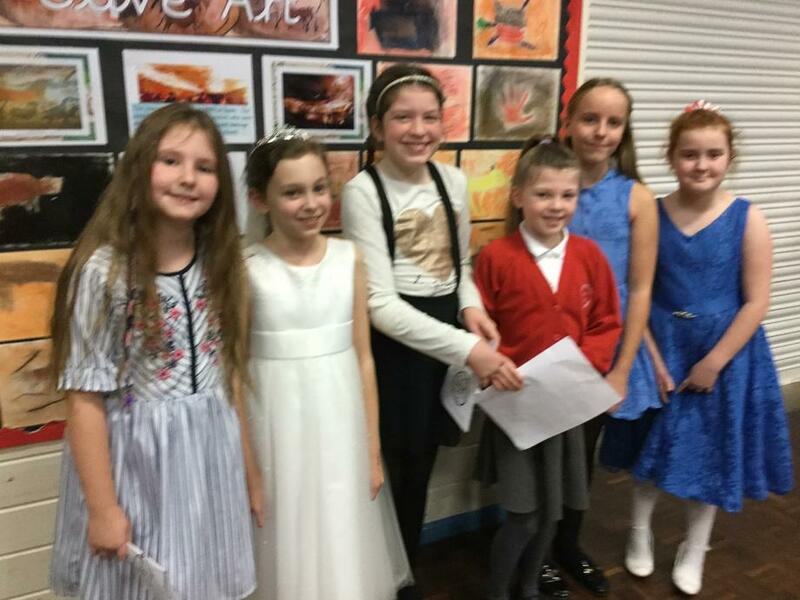 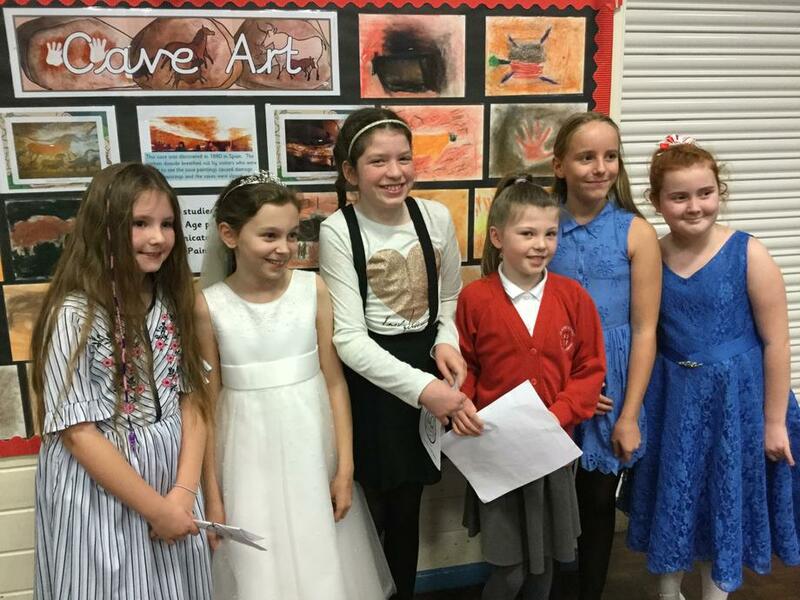 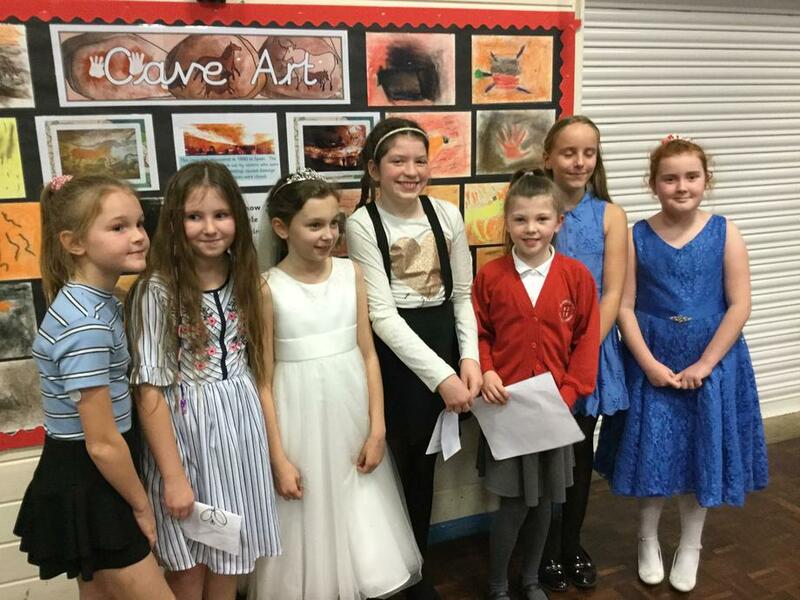 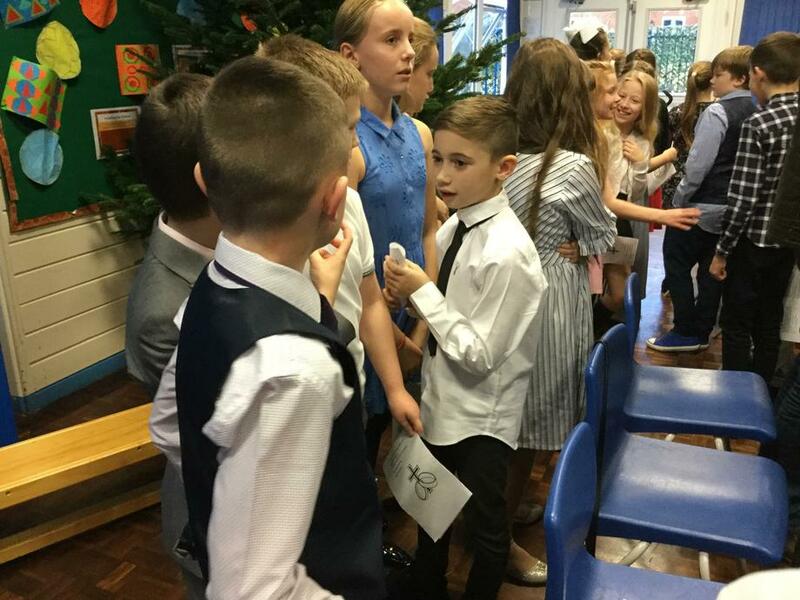 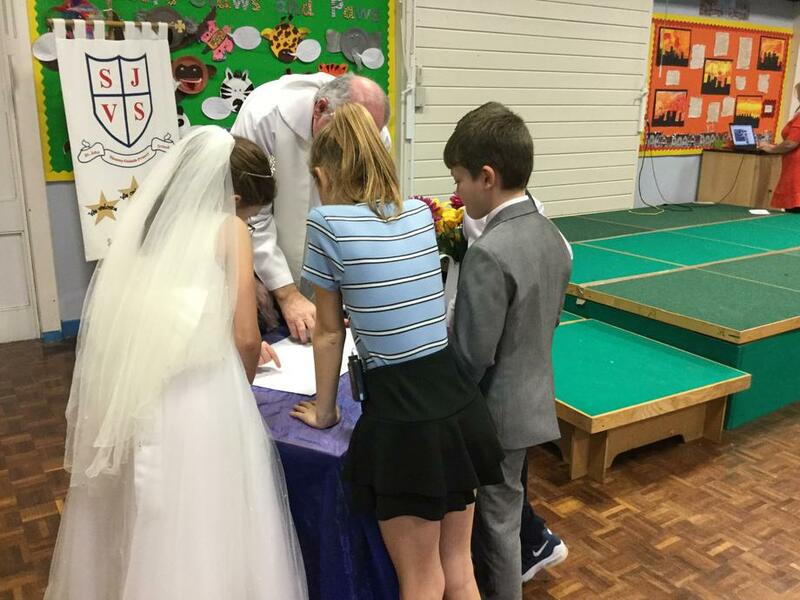 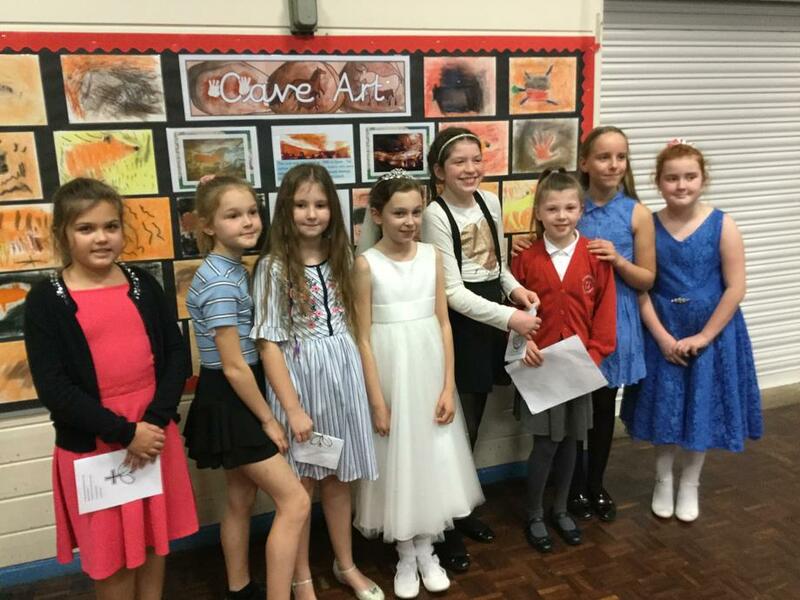 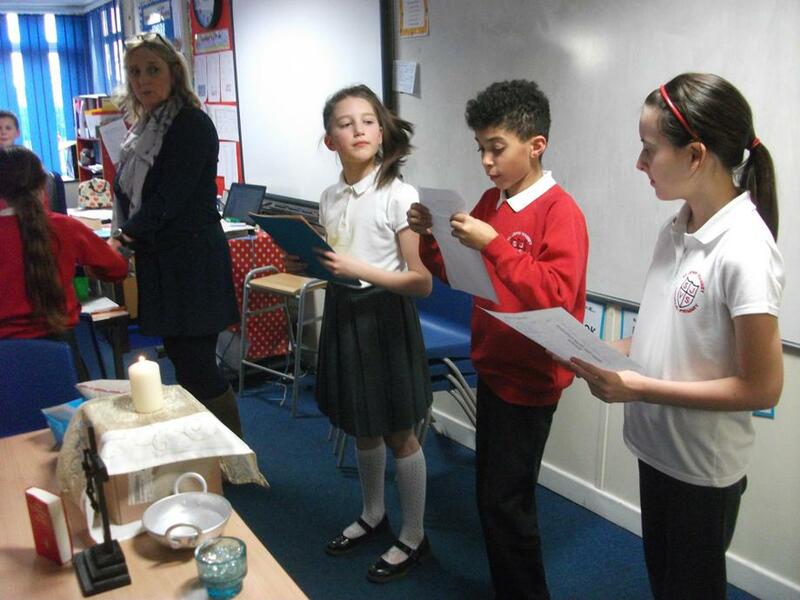 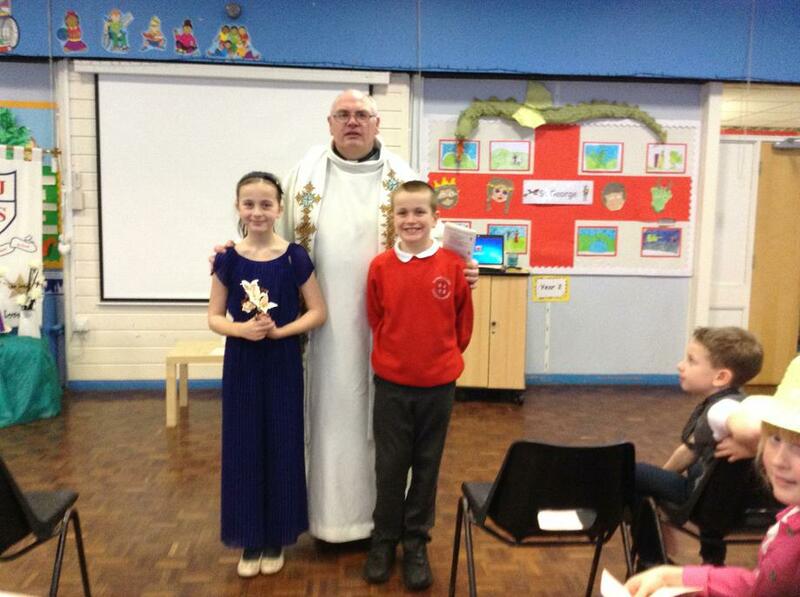 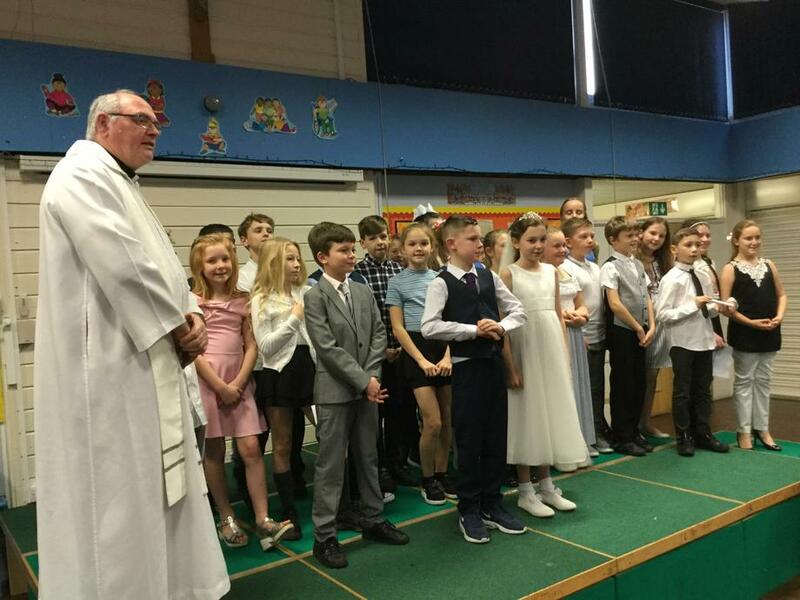 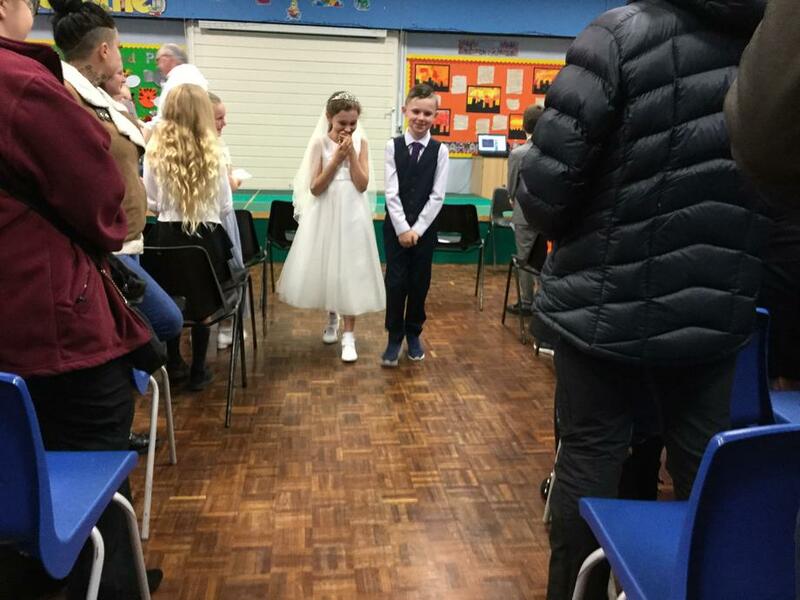 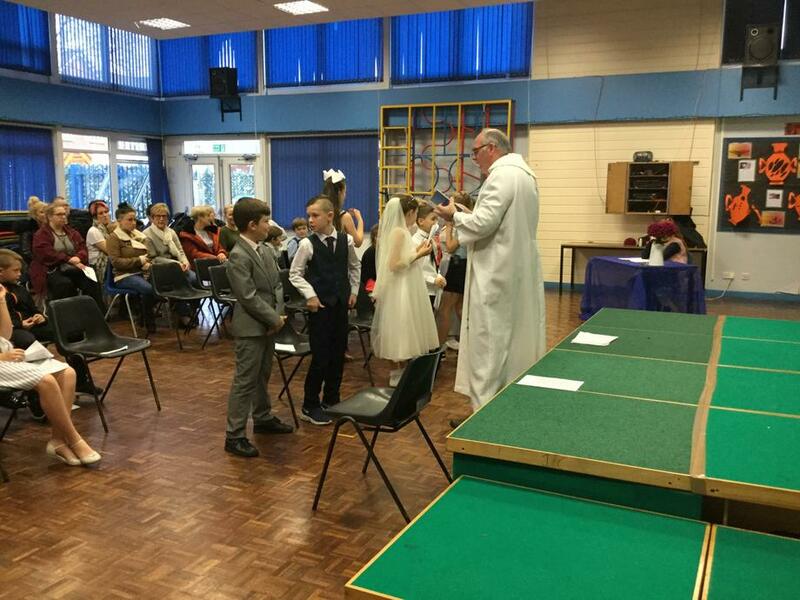 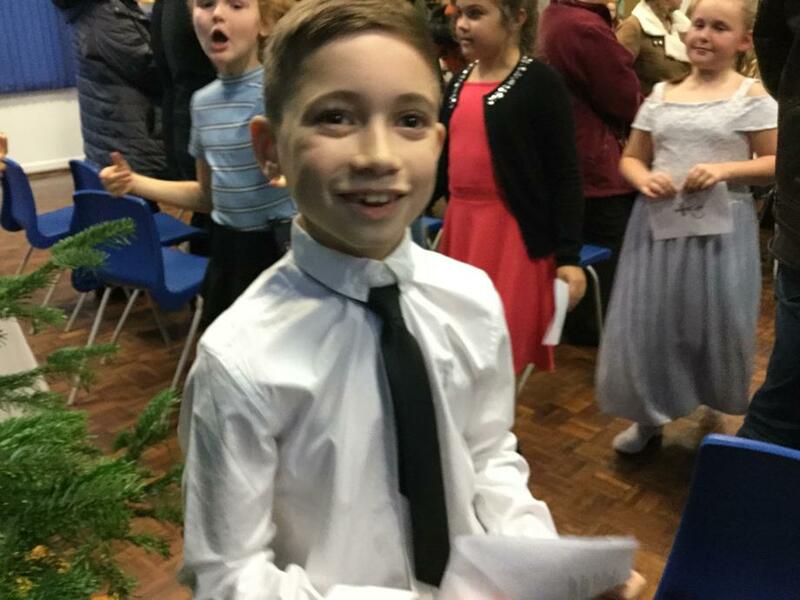 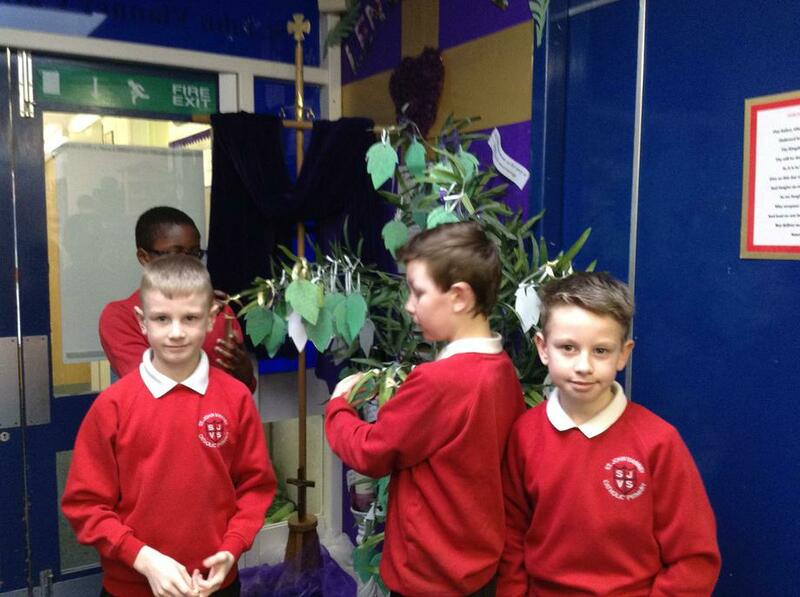 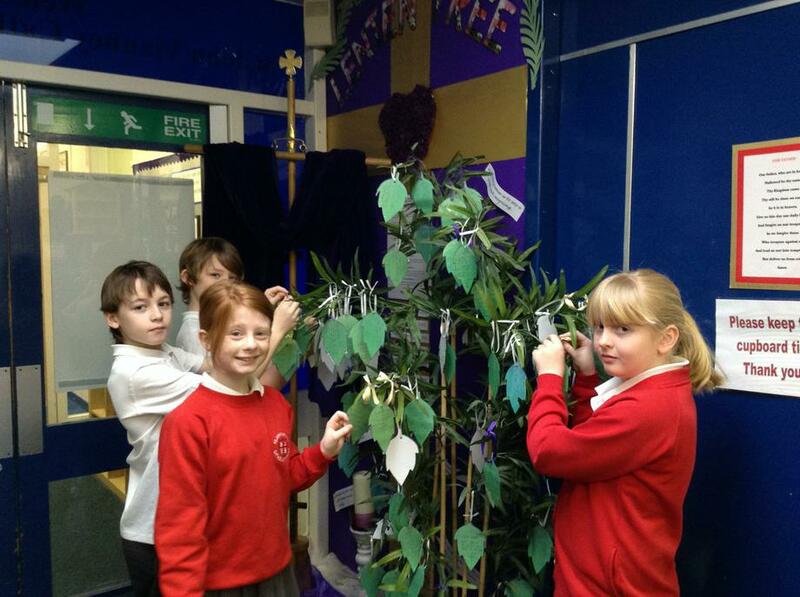 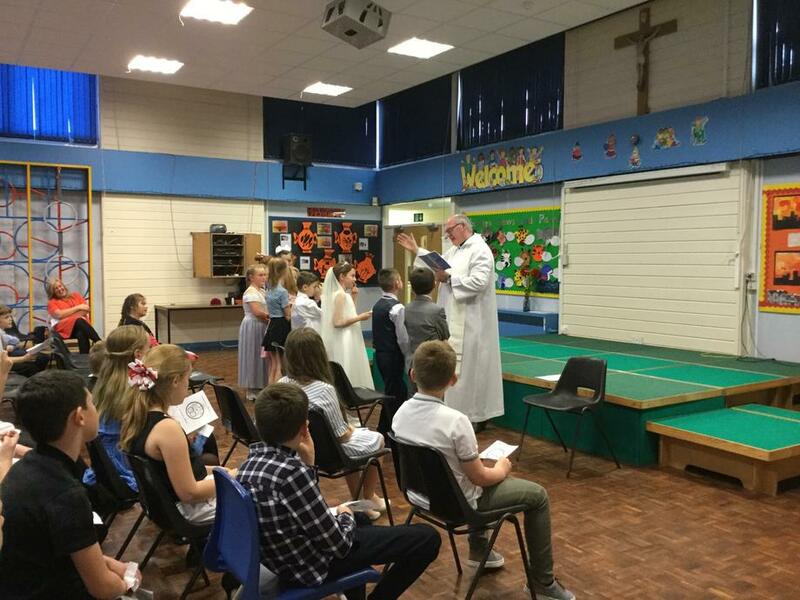 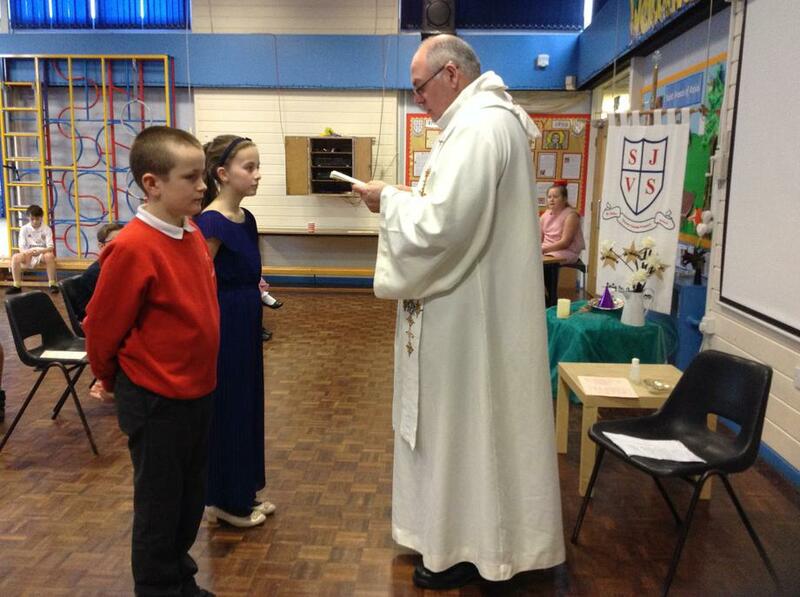 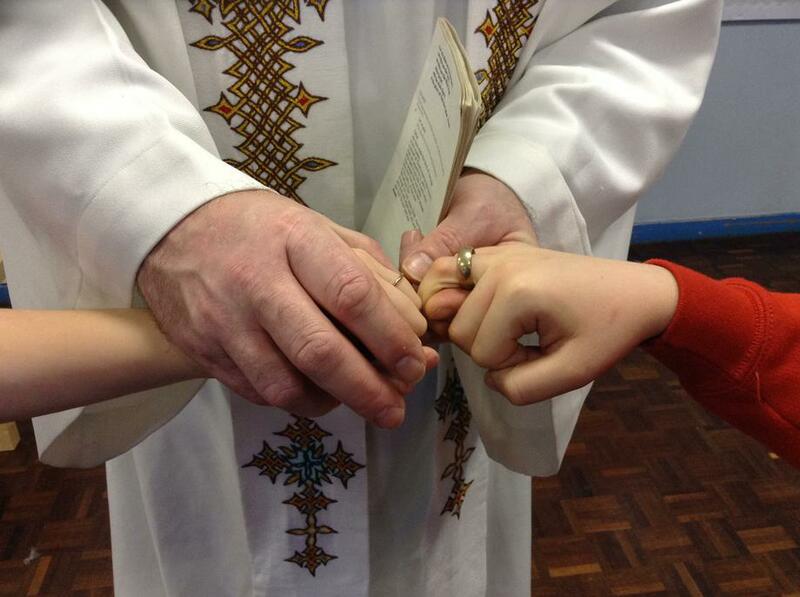 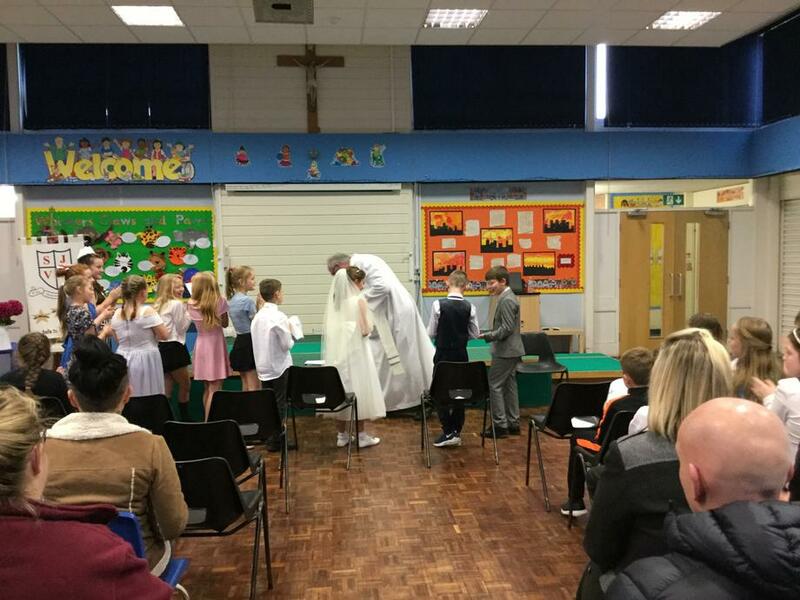 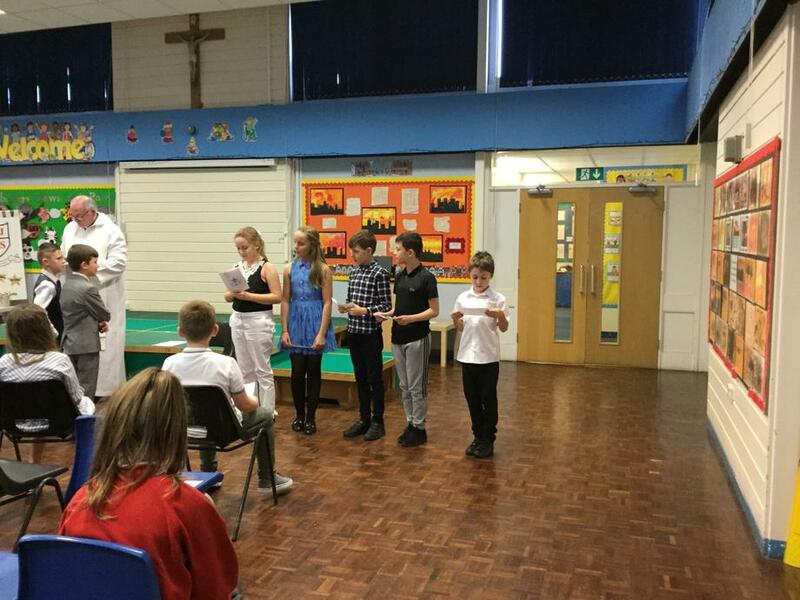 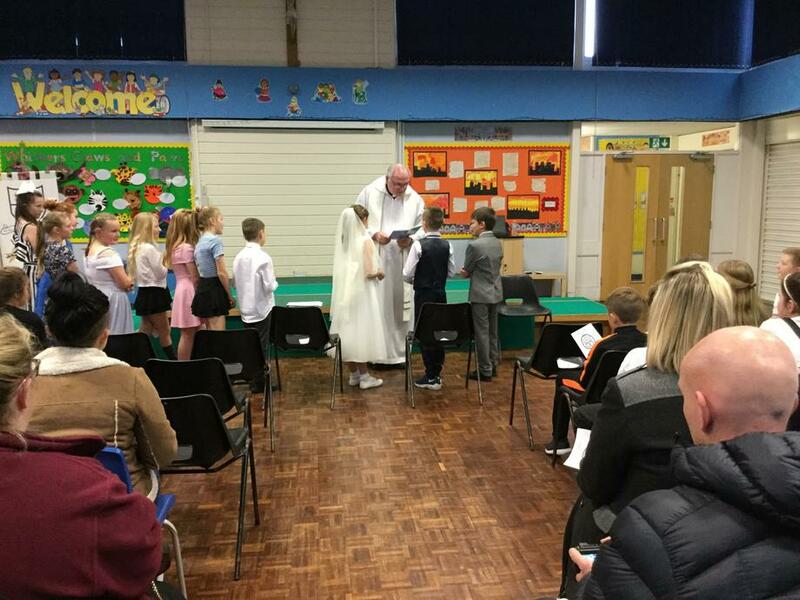 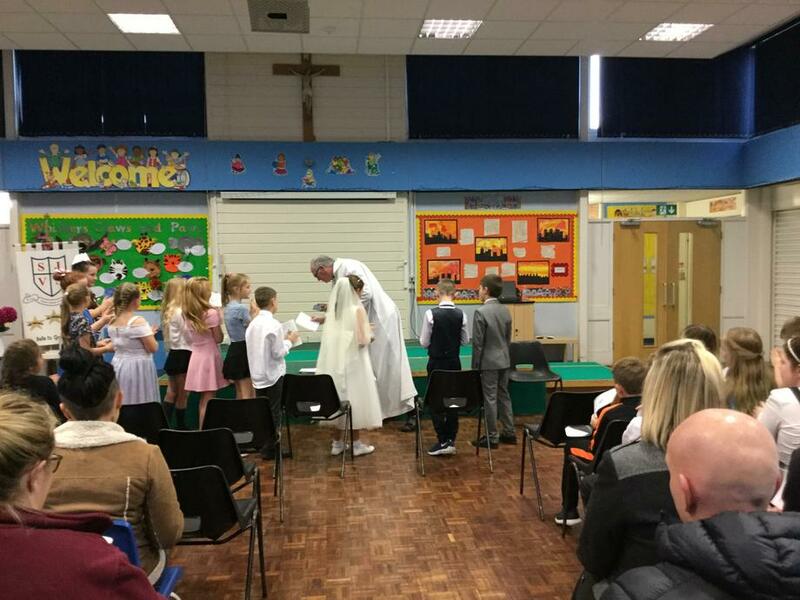 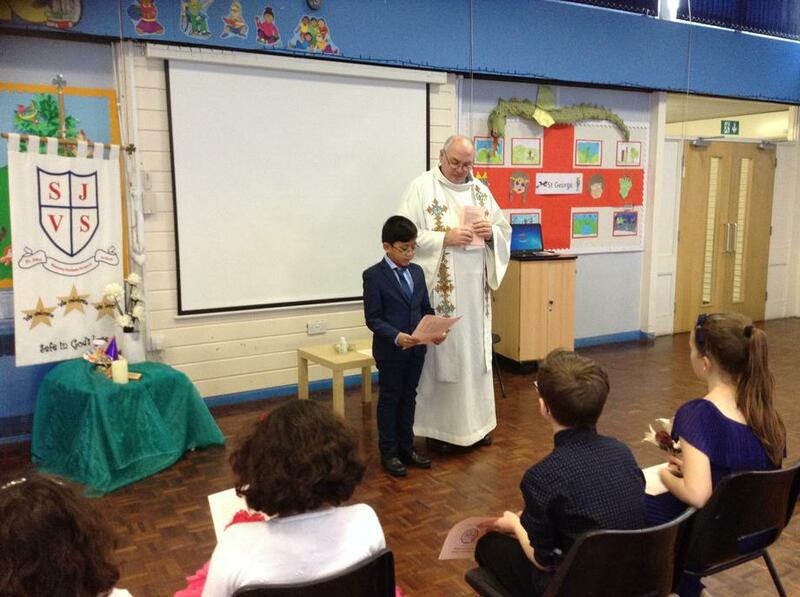 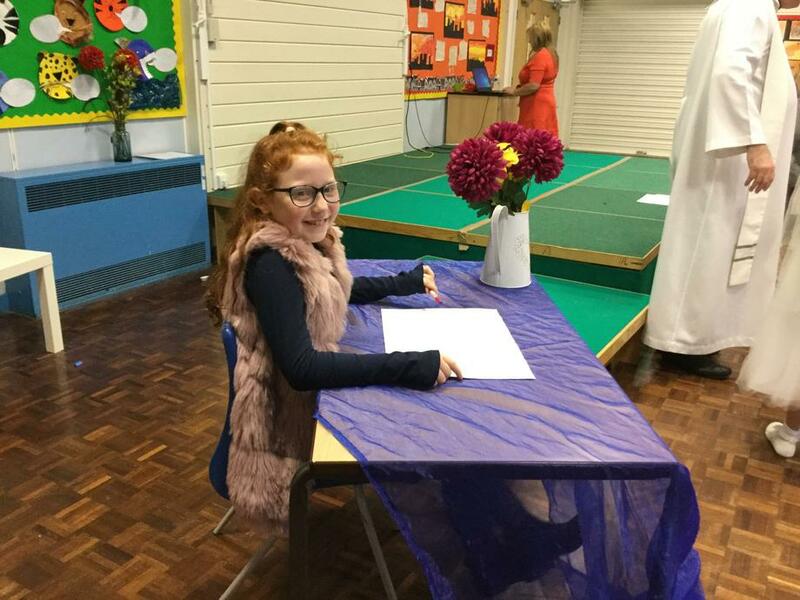 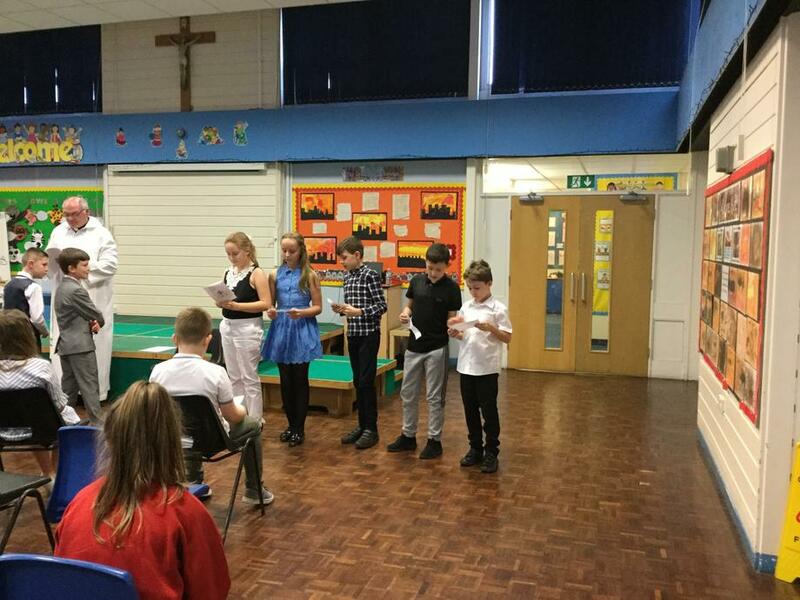 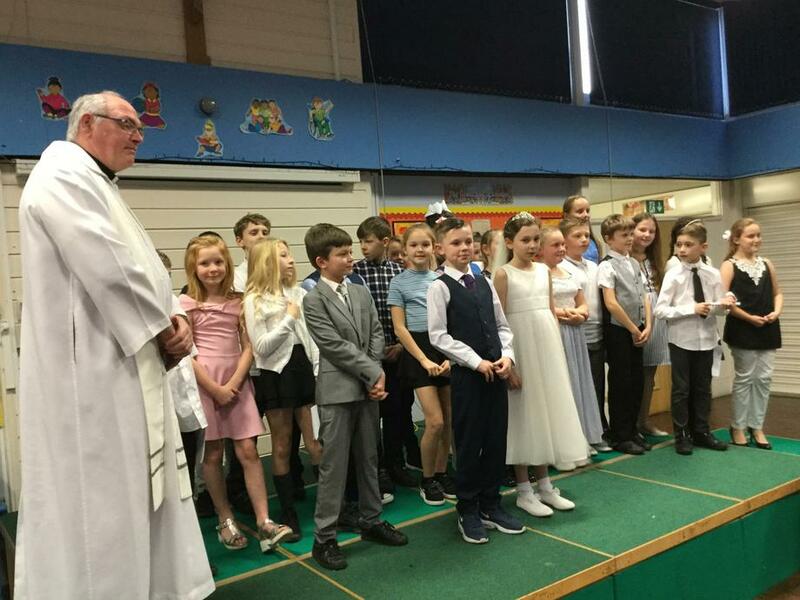 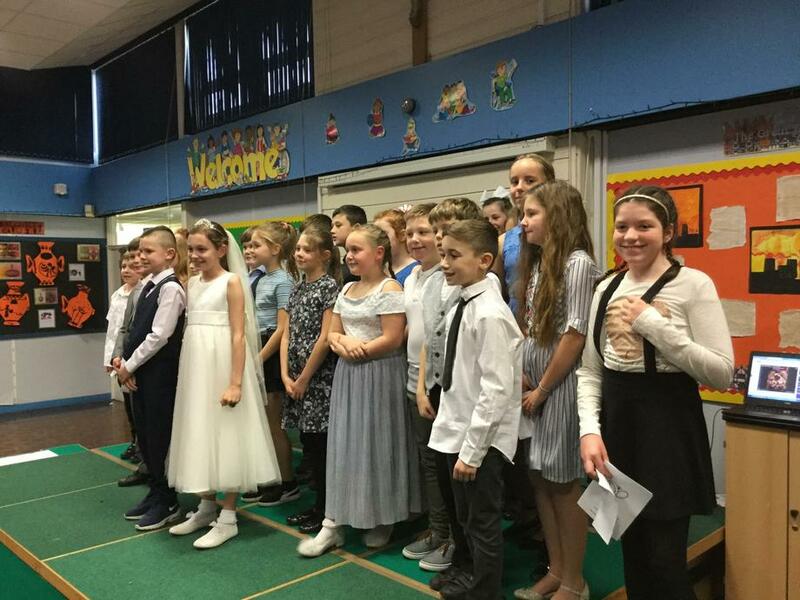 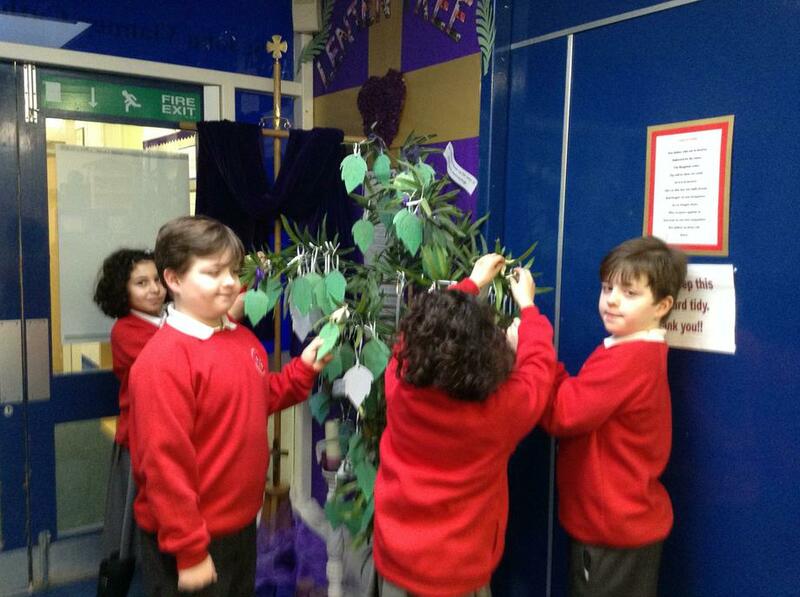 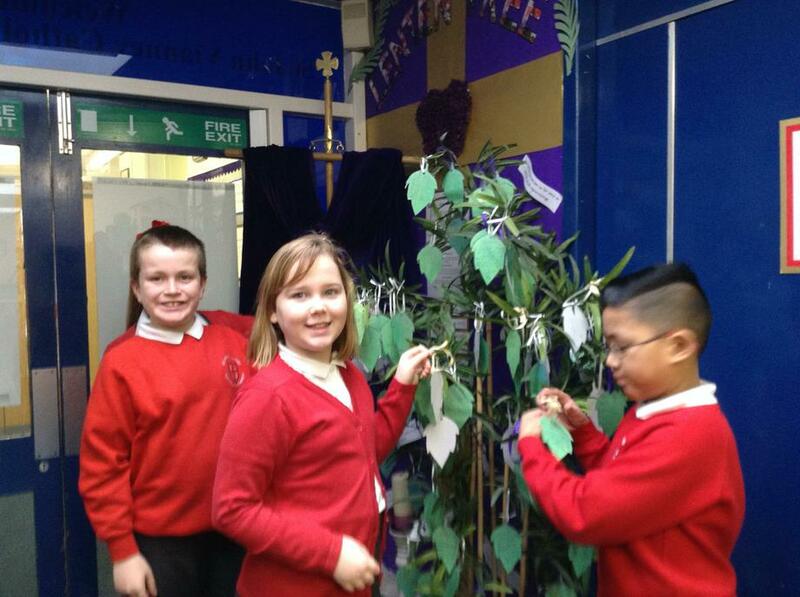 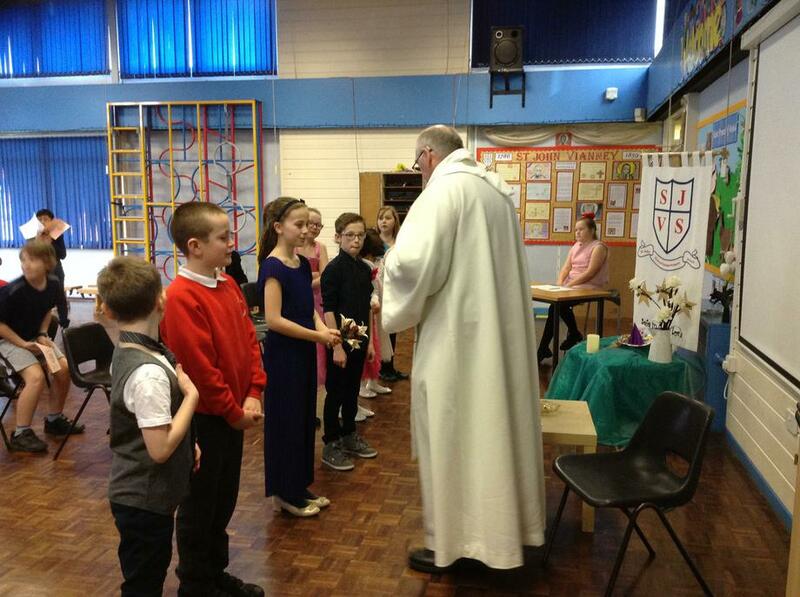 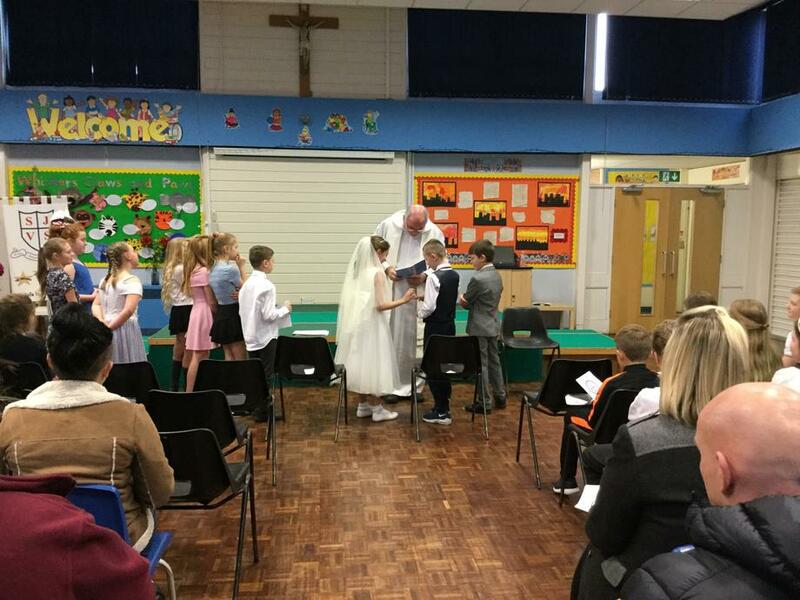 Year 5 - We have come to the end of our topic and the children have enjoyed learning about the Eucharist. 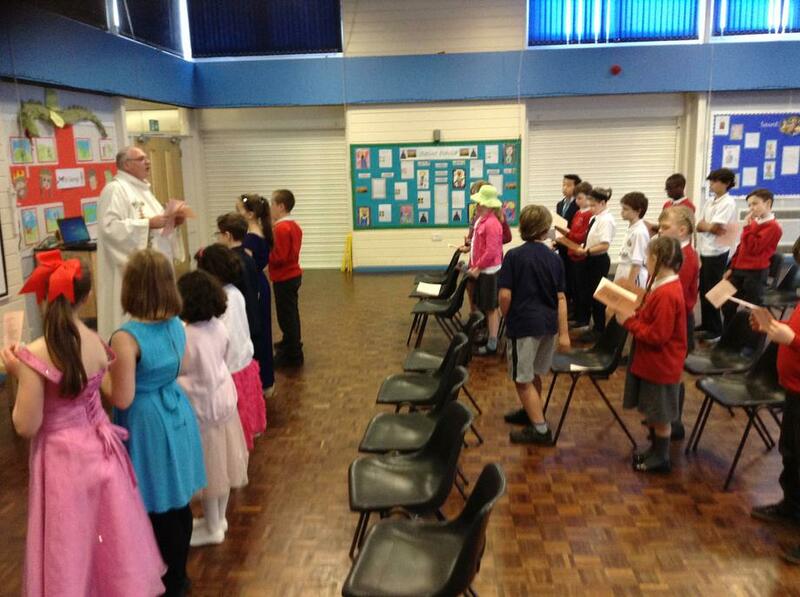 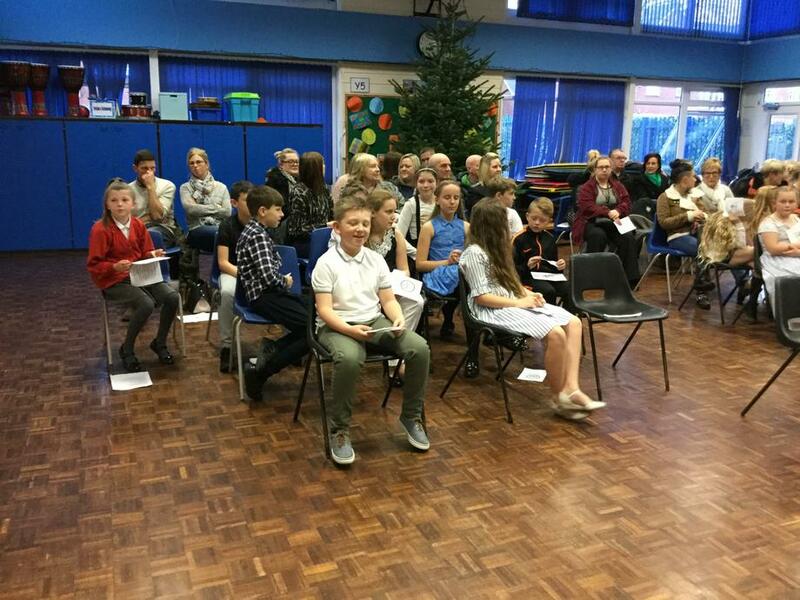 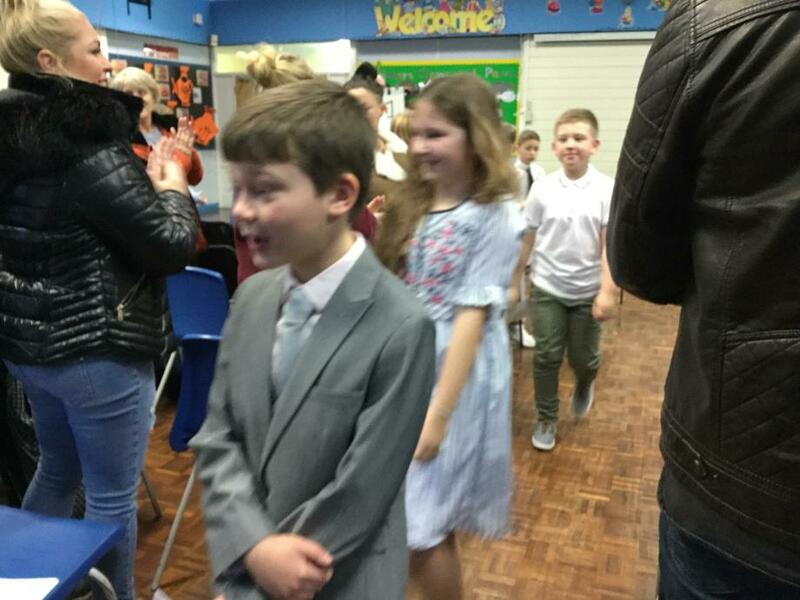 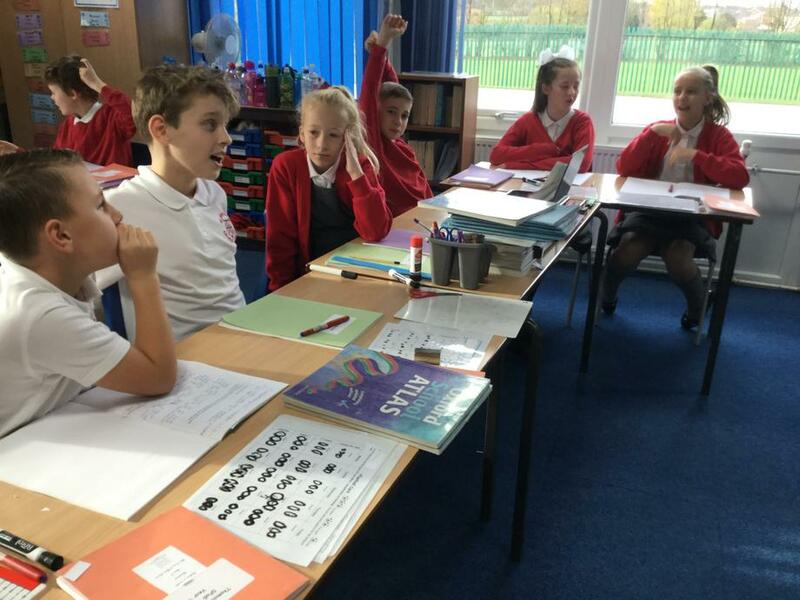 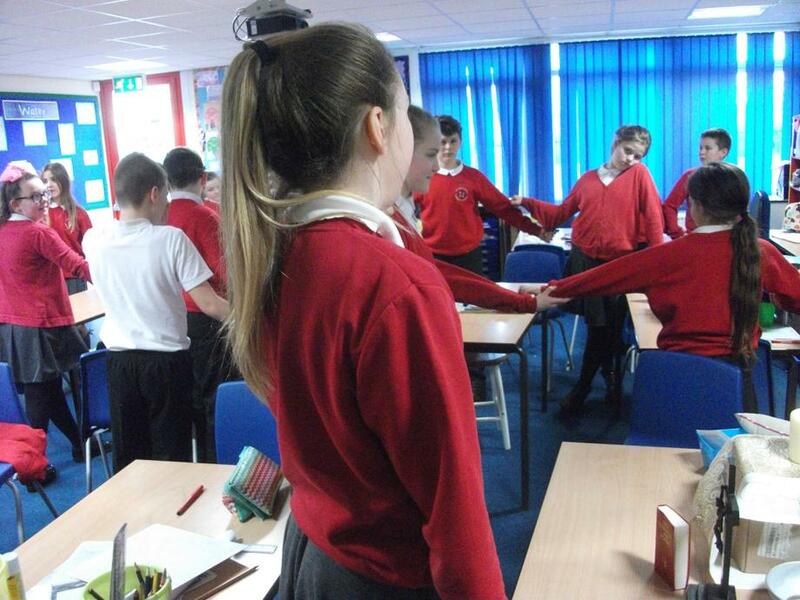 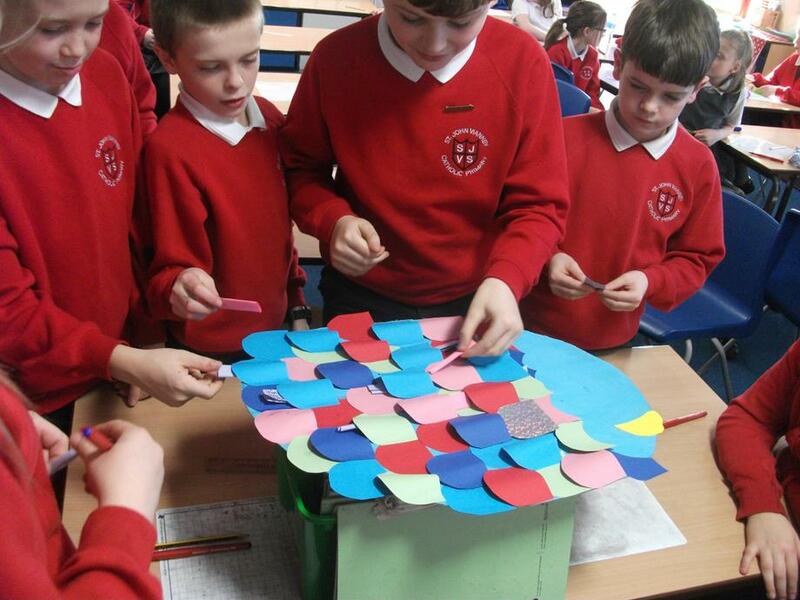 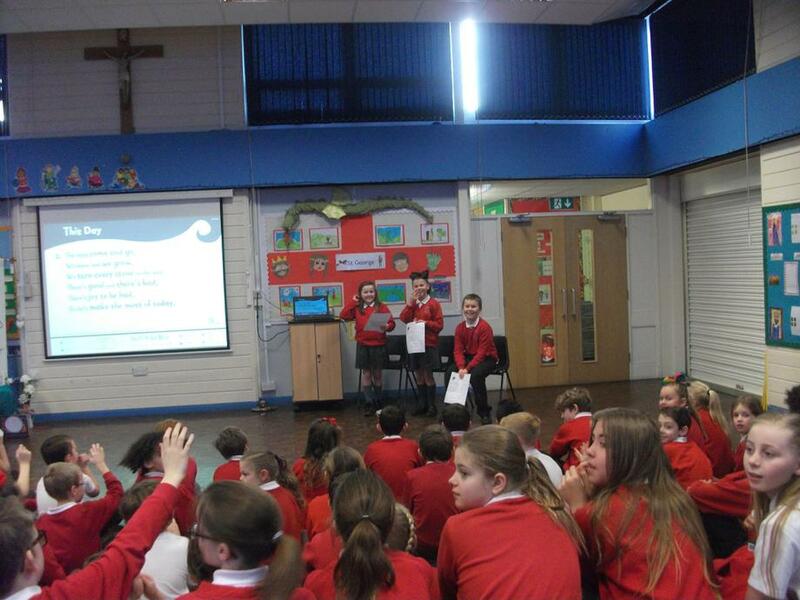 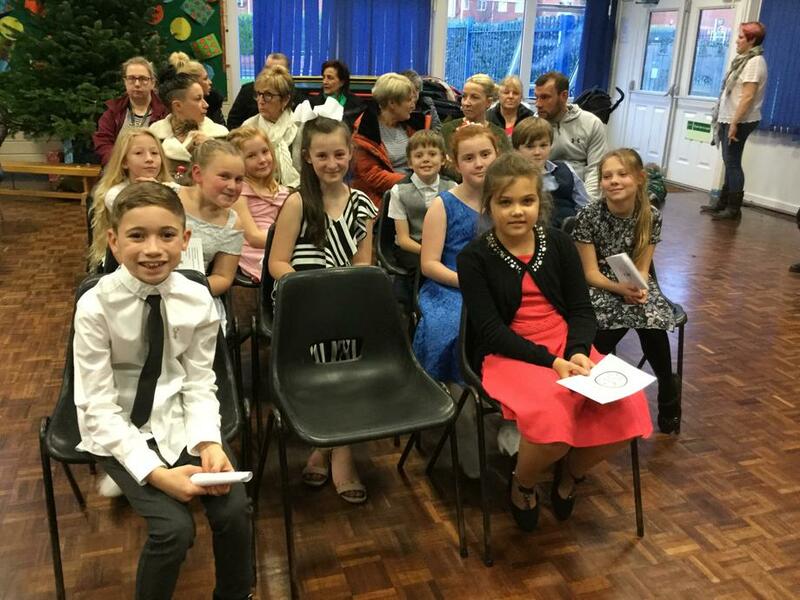 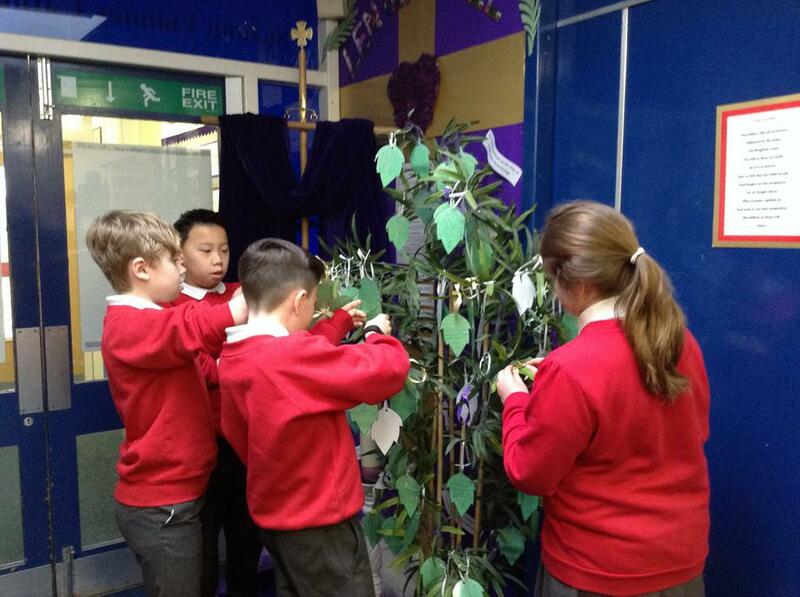 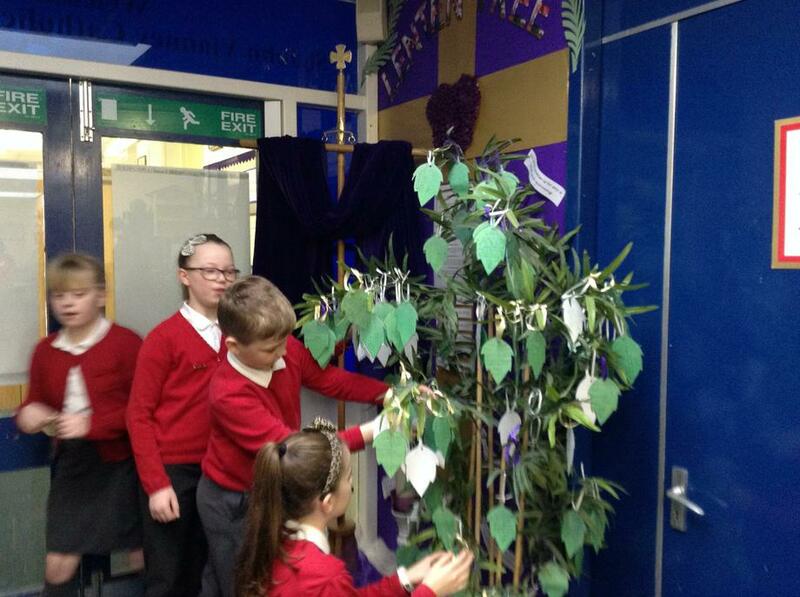 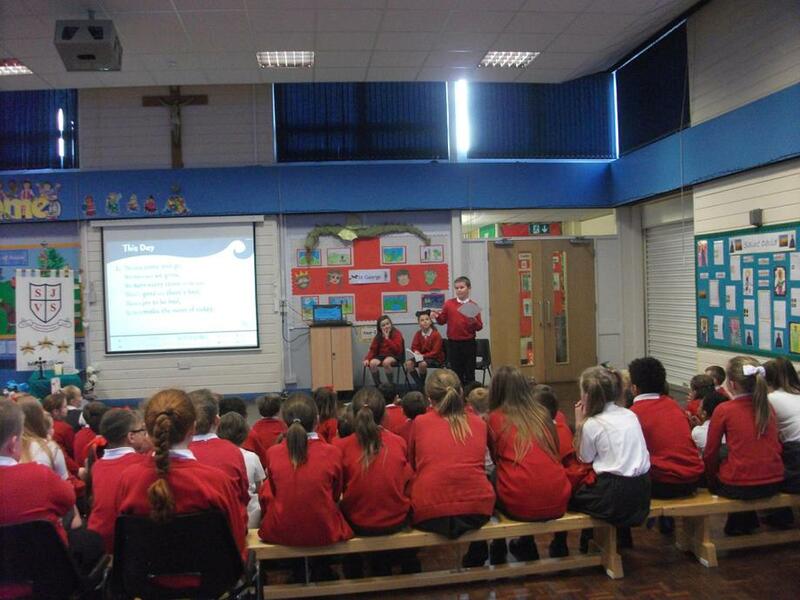 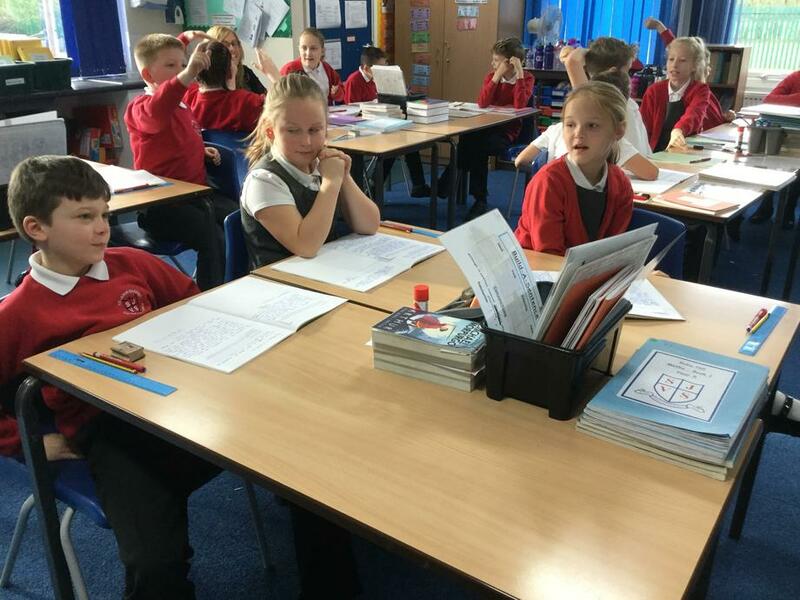 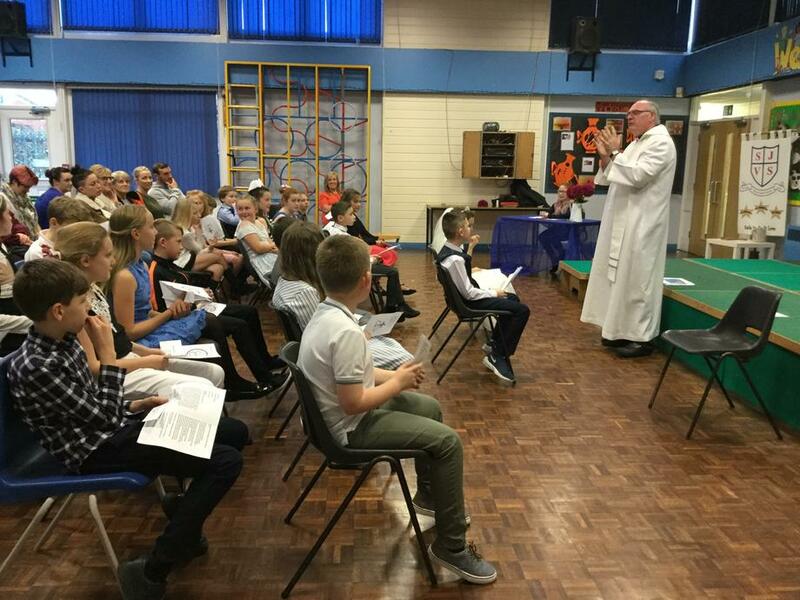 Collective Worship led by Y6 for the whole of KS2 and Collective Worship within the classroom.